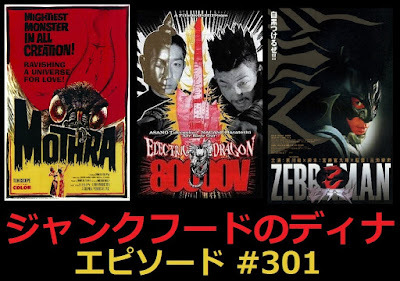 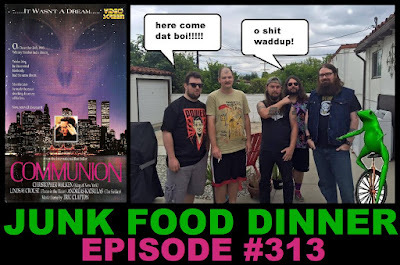 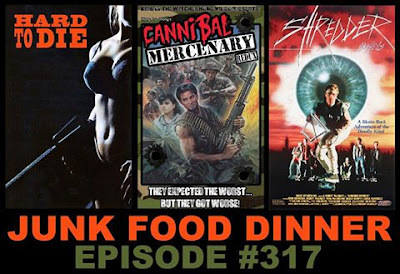 Never before has so much flesh been devoured on single podcast! 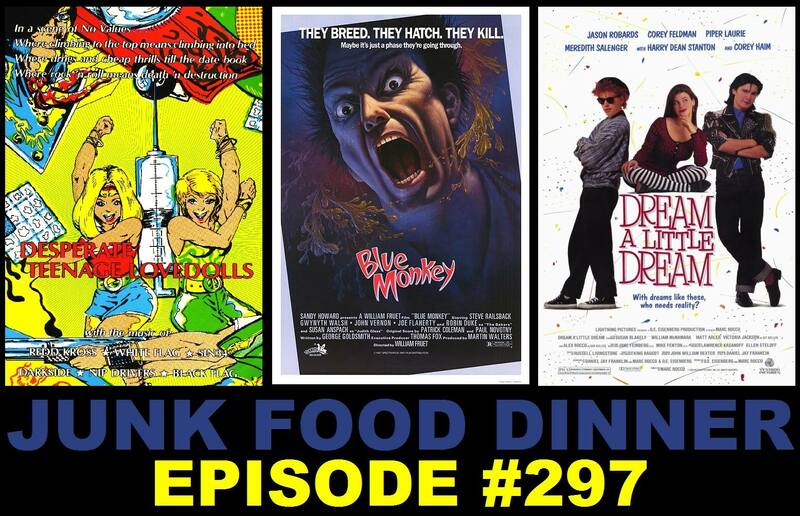 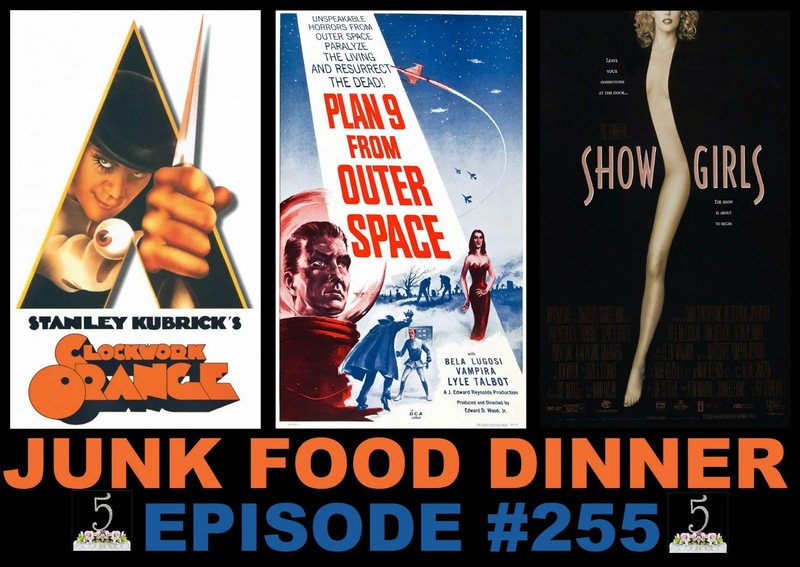 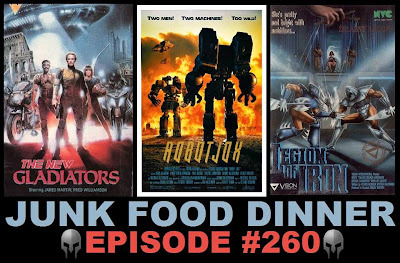 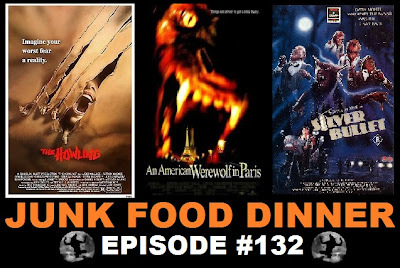 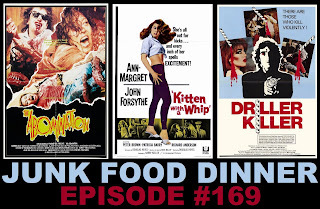 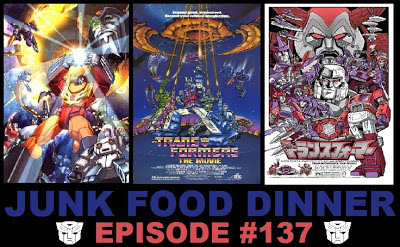 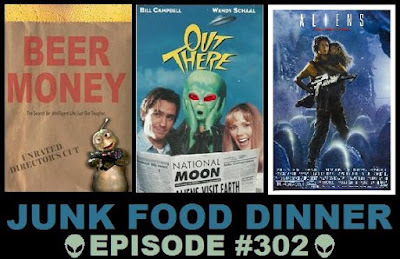 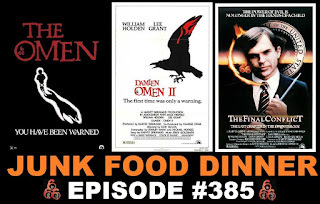 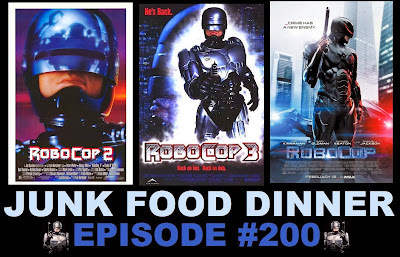 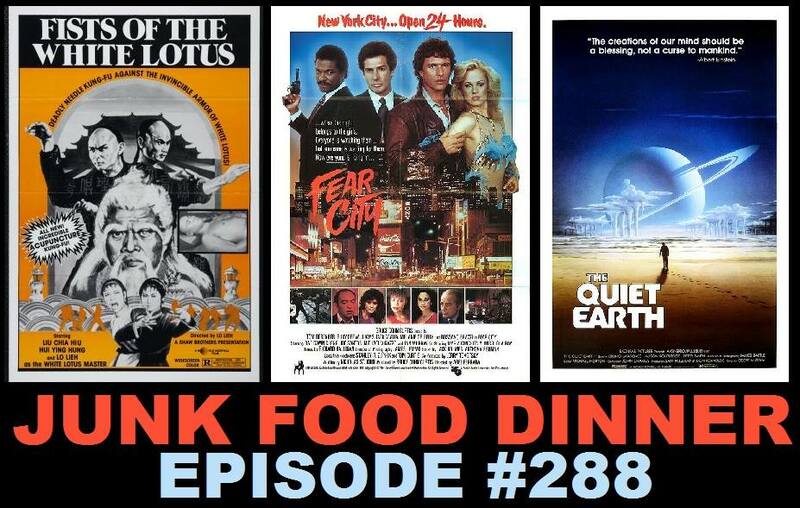 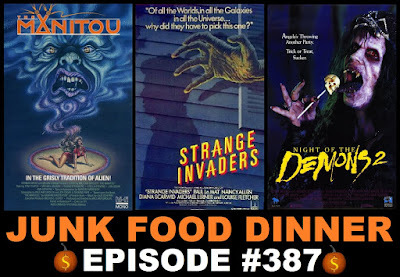 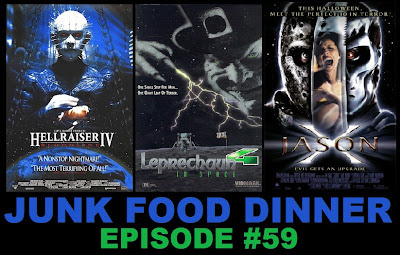 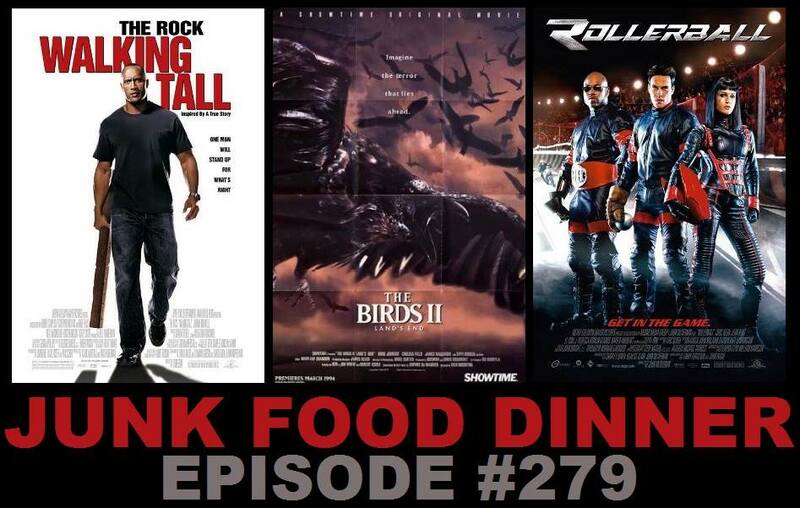 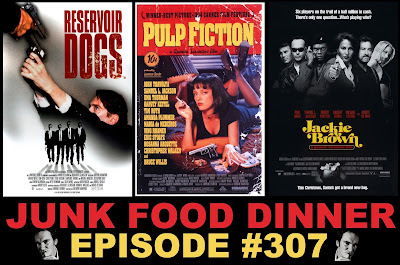 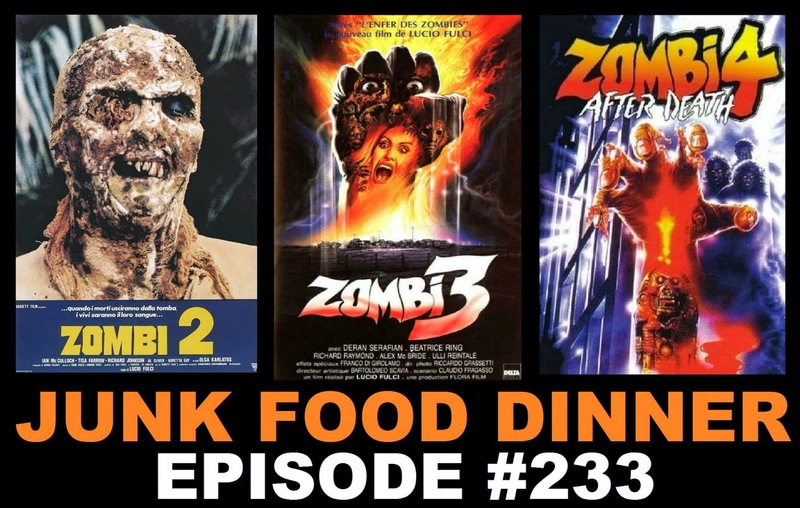 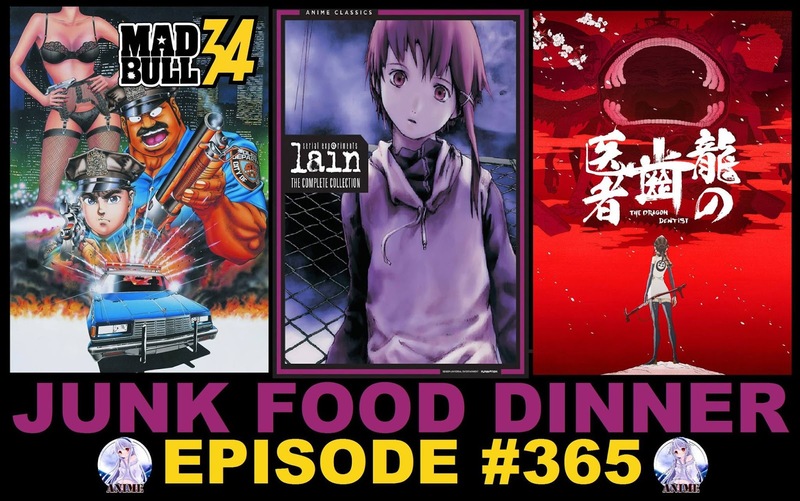 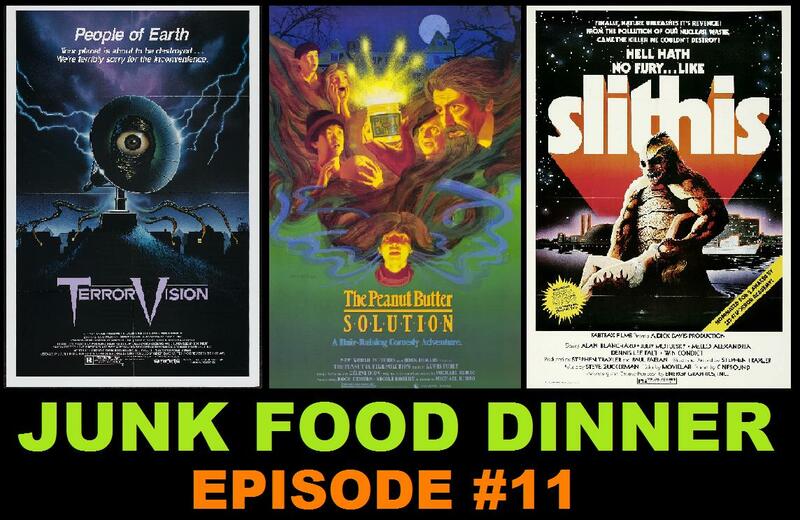 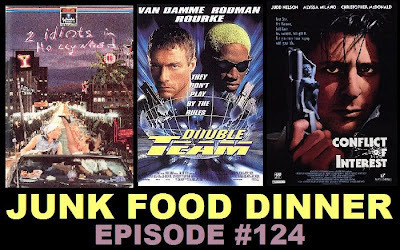 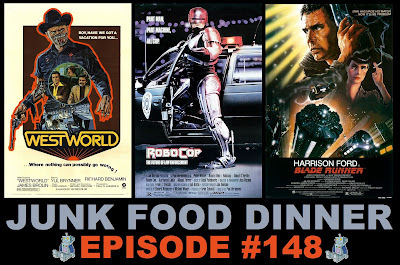 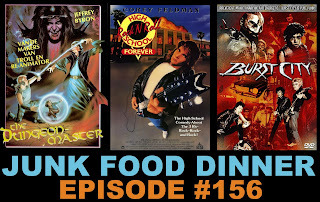 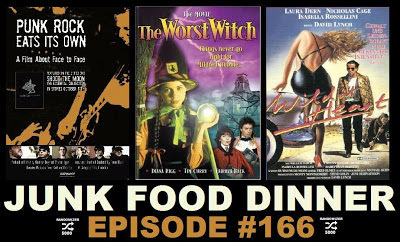 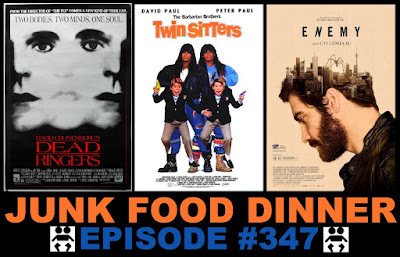 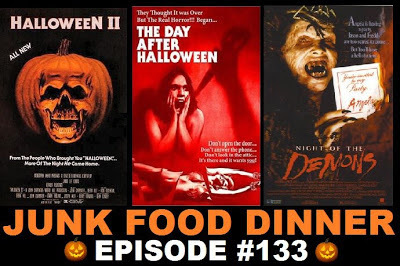 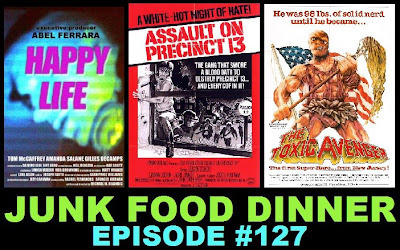 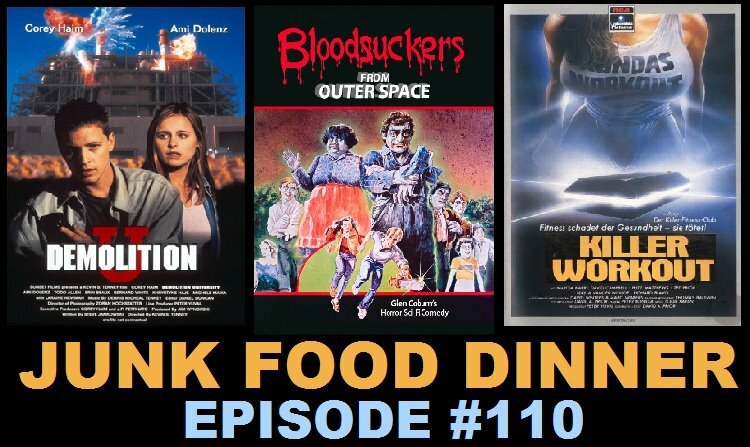 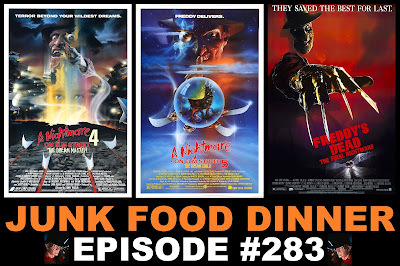 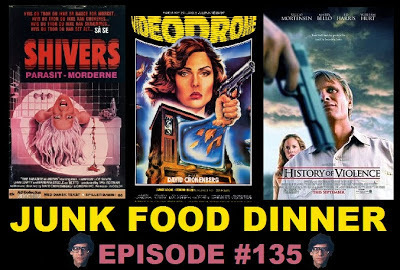 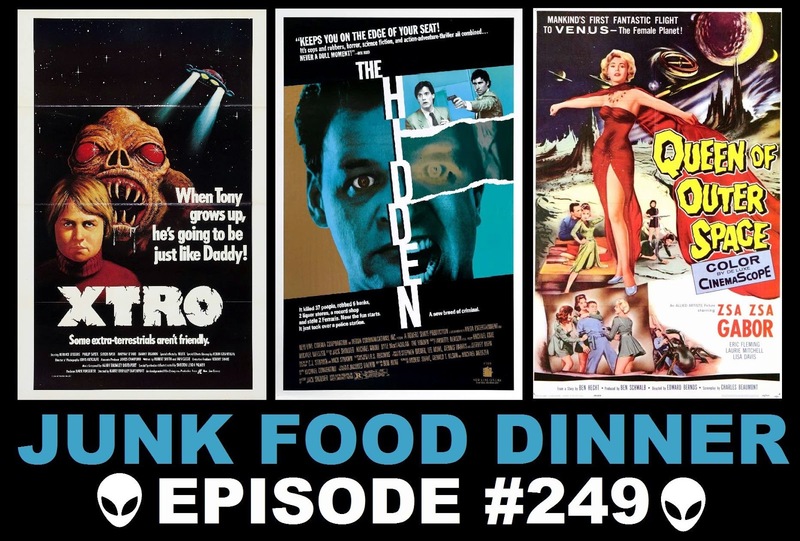 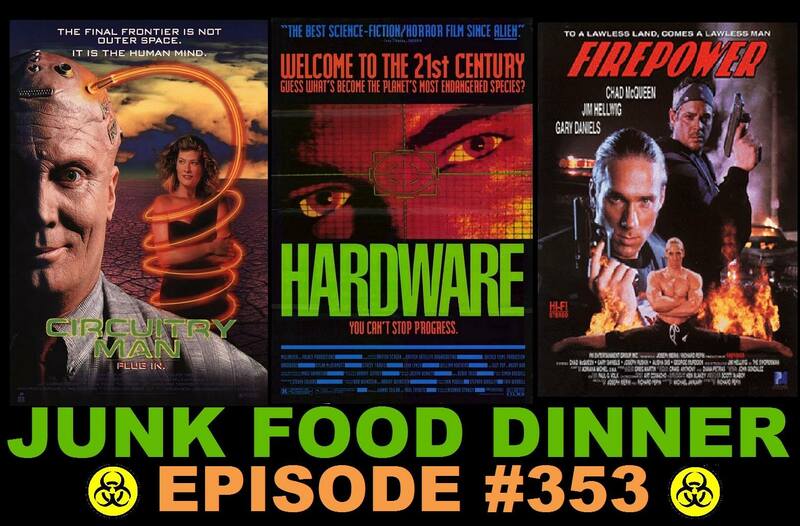 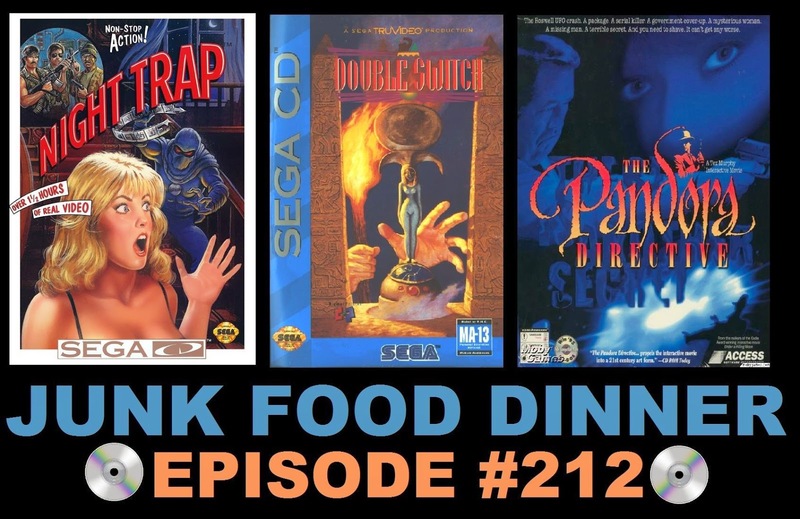 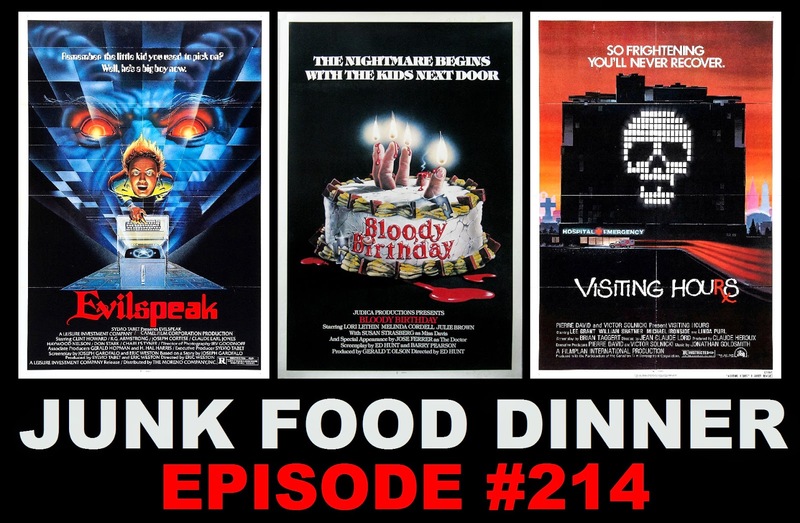 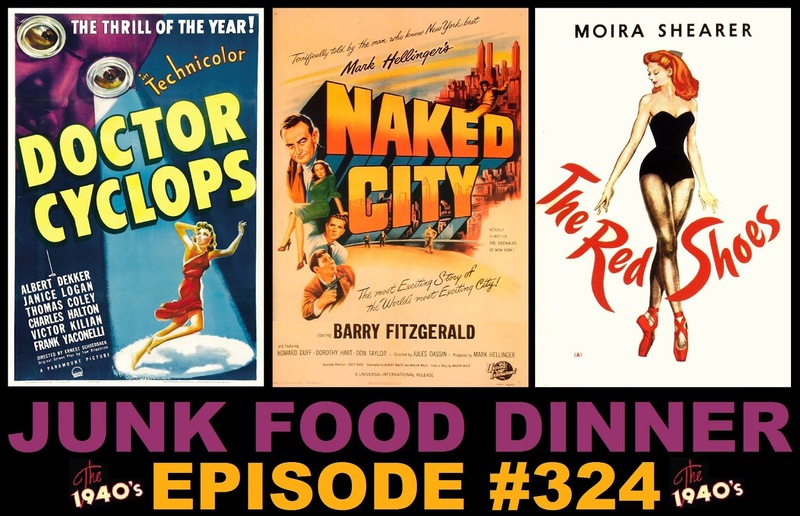 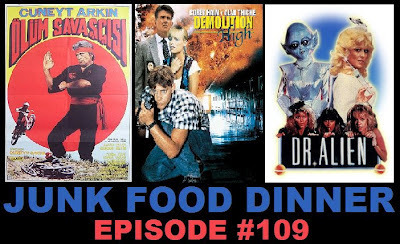 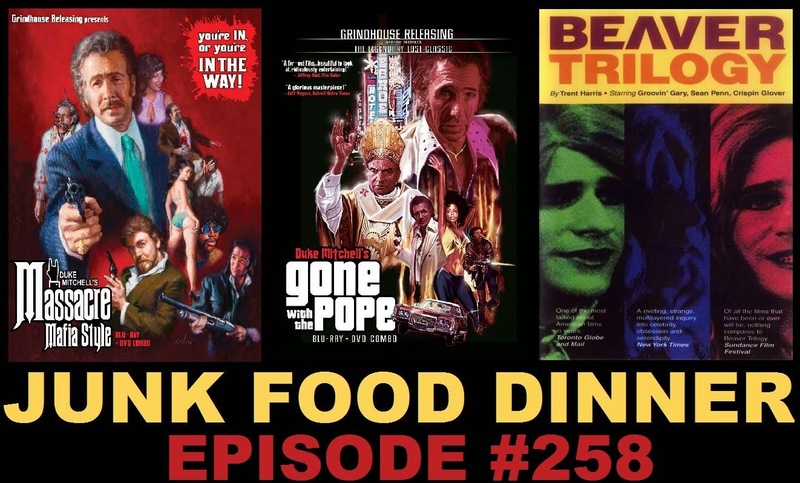 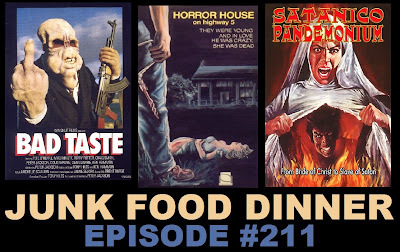 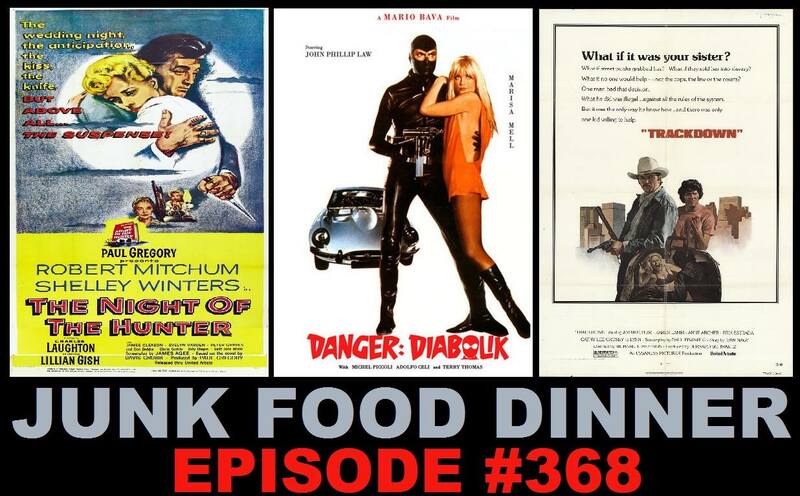 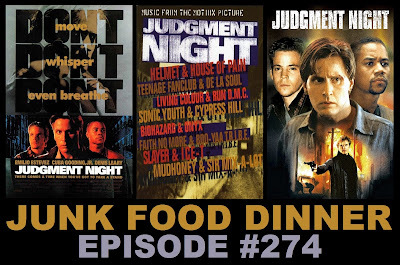 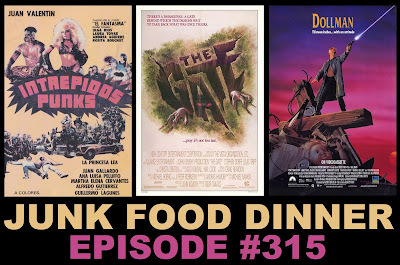 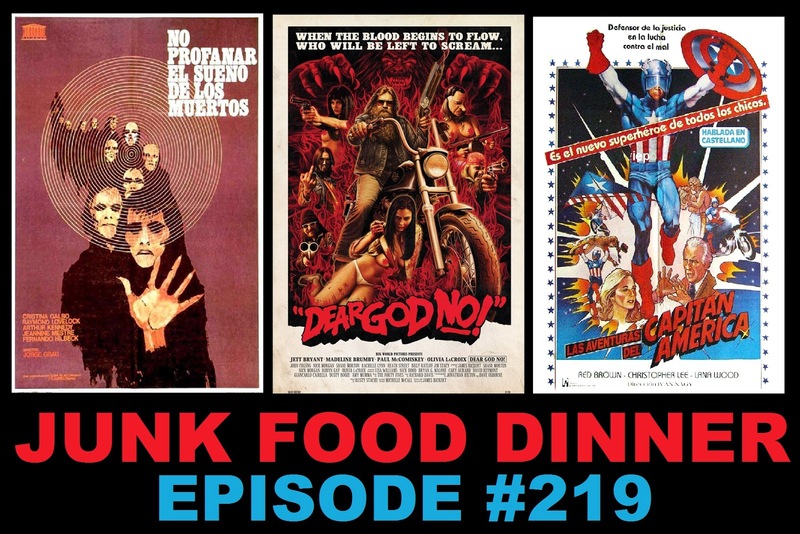 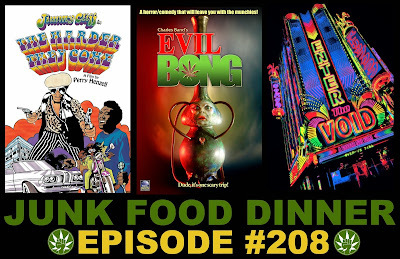 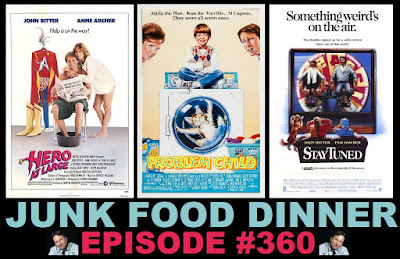 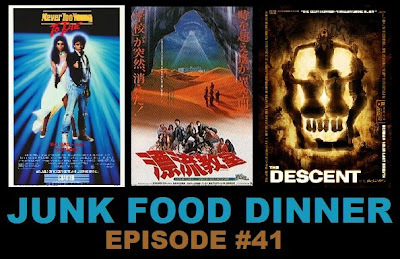 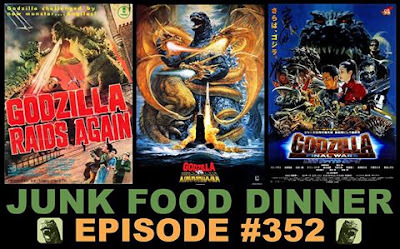 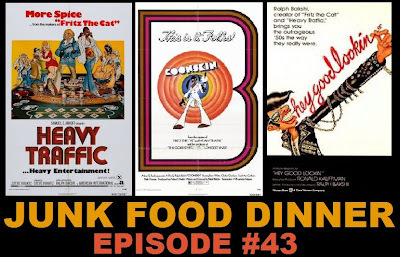 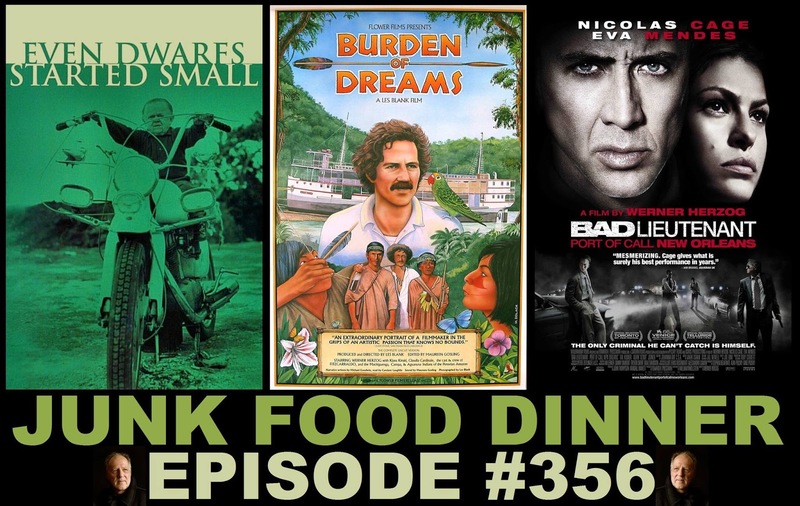 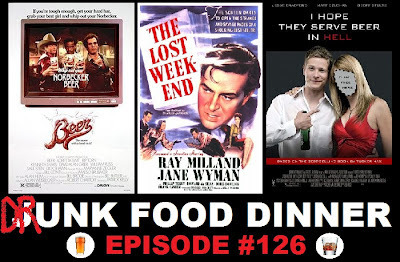 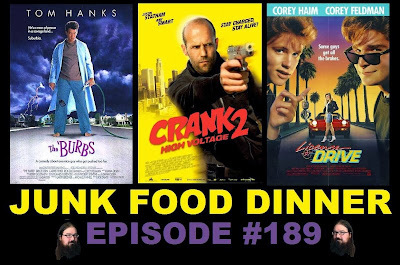 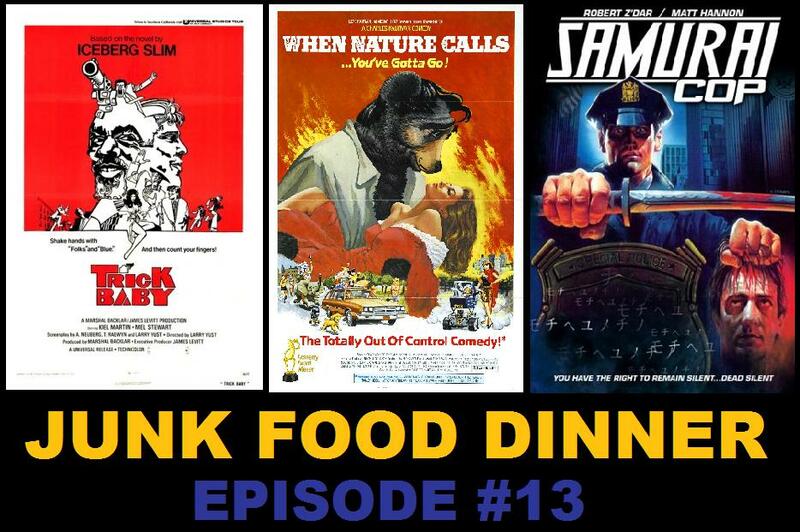 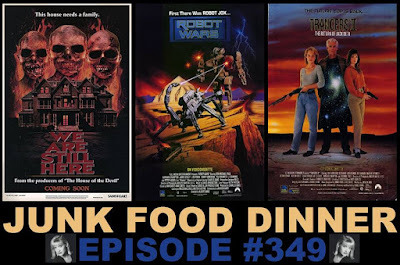 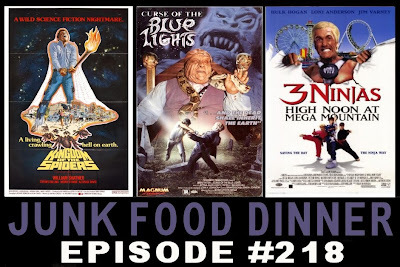 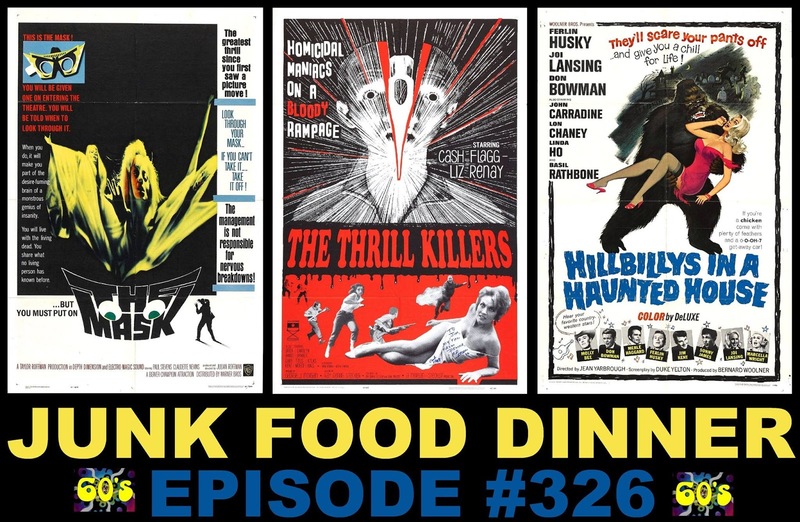 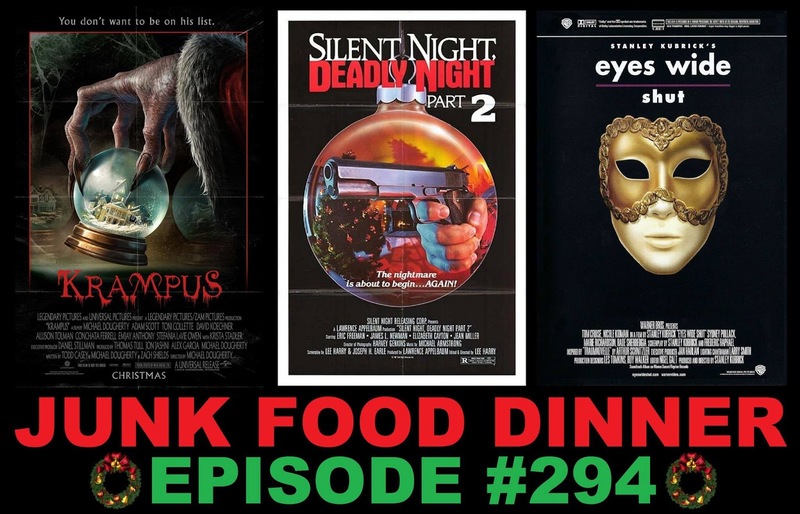 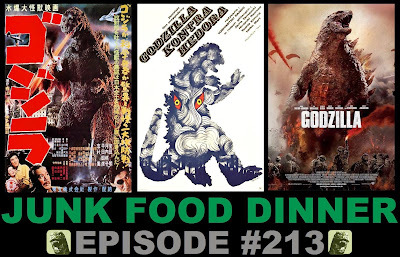 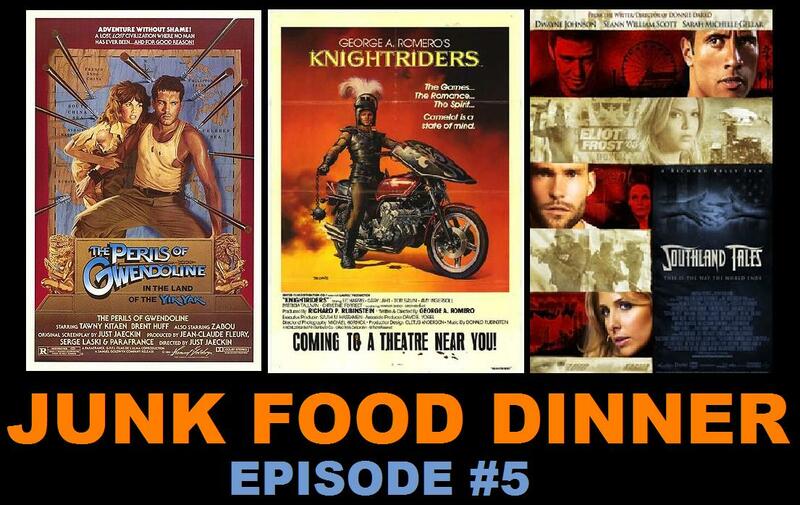 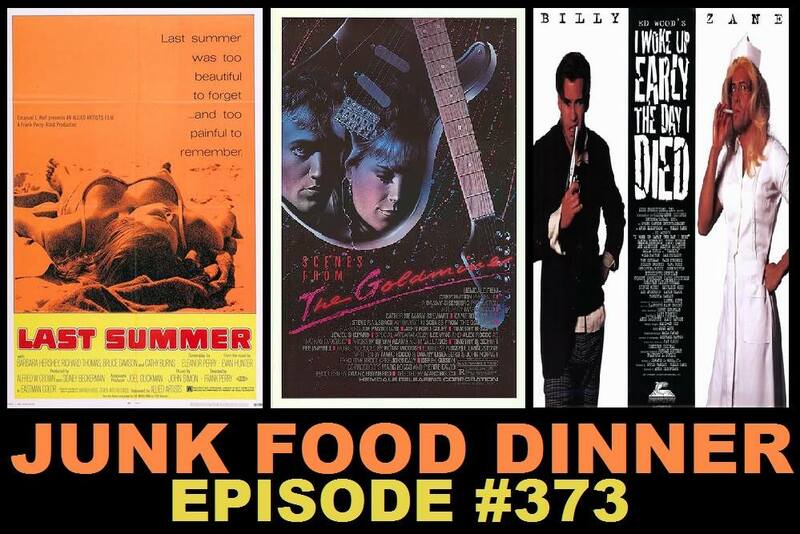 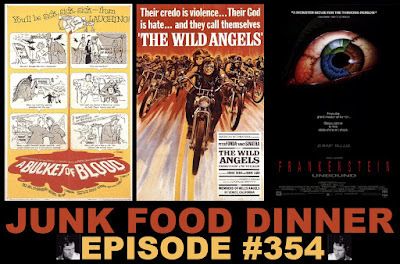 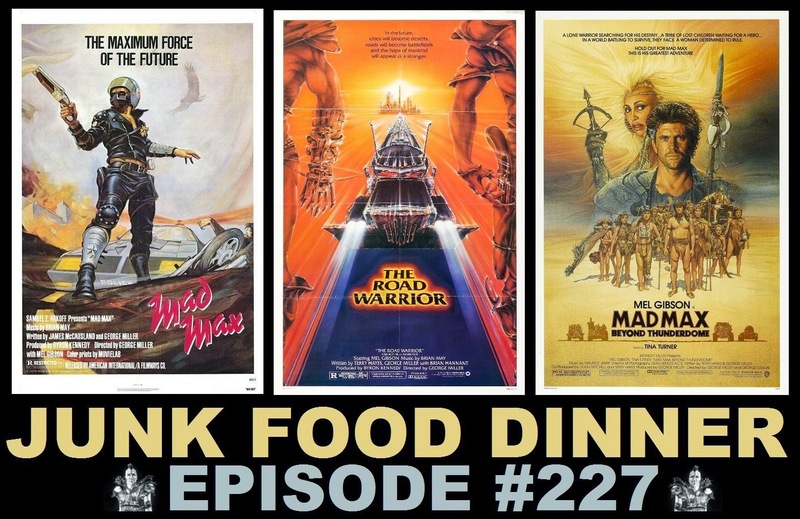 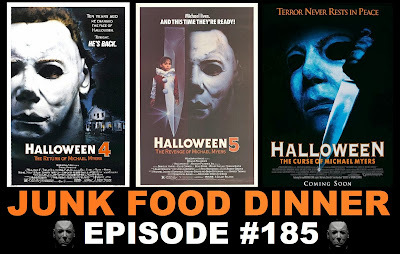 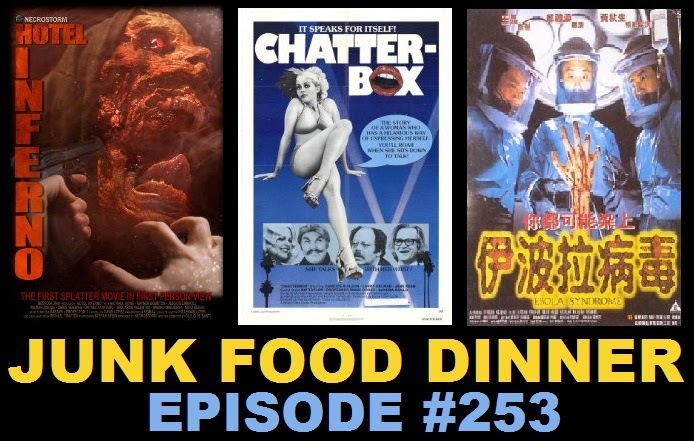 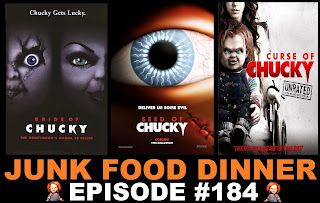 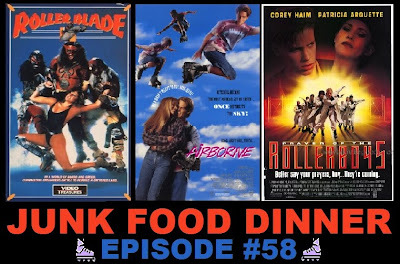 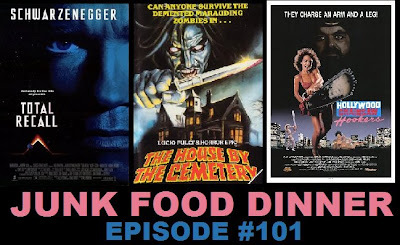 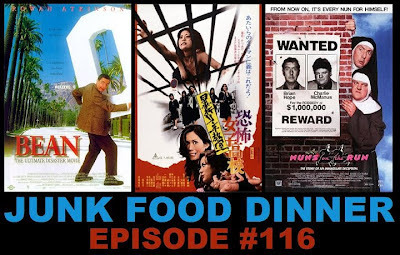 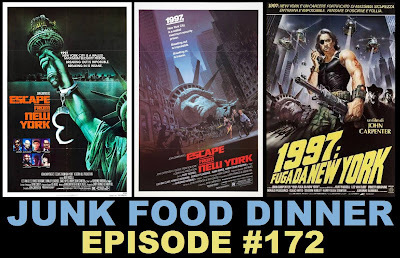 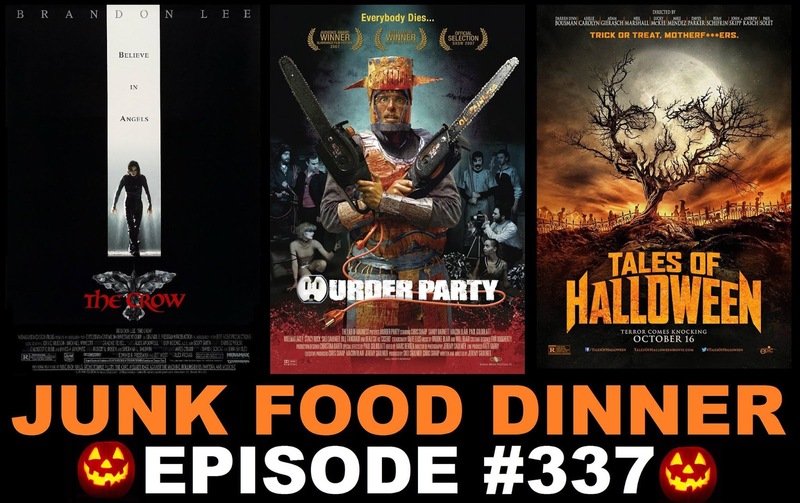 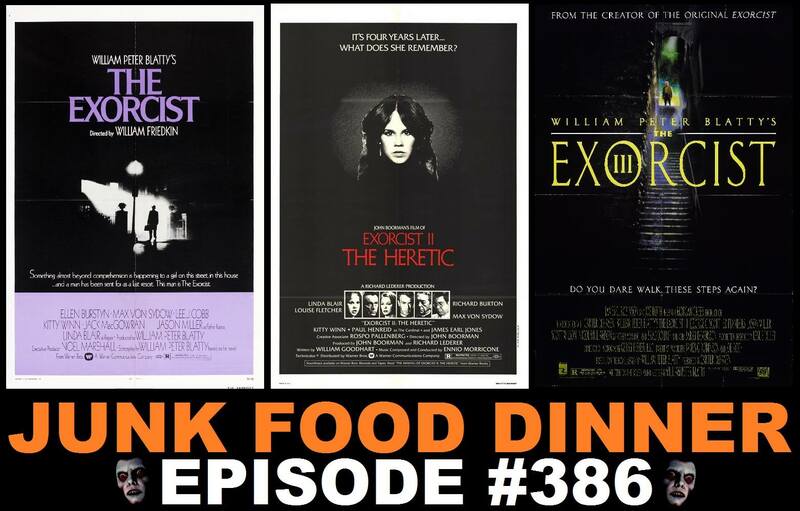 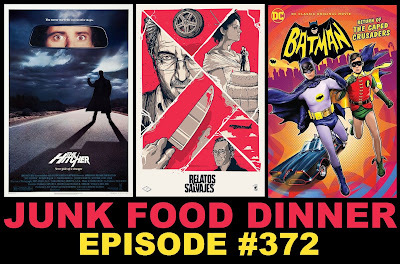 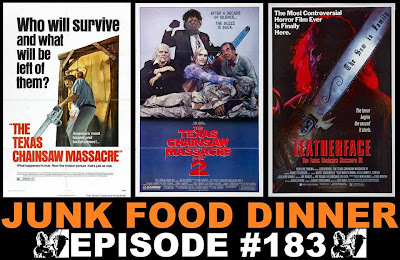 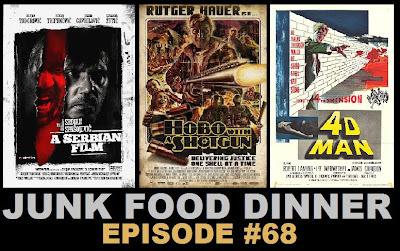 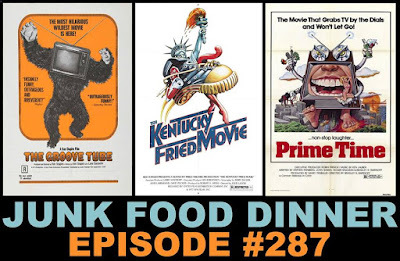 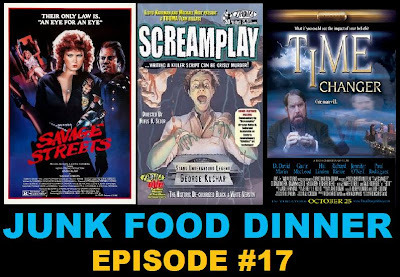 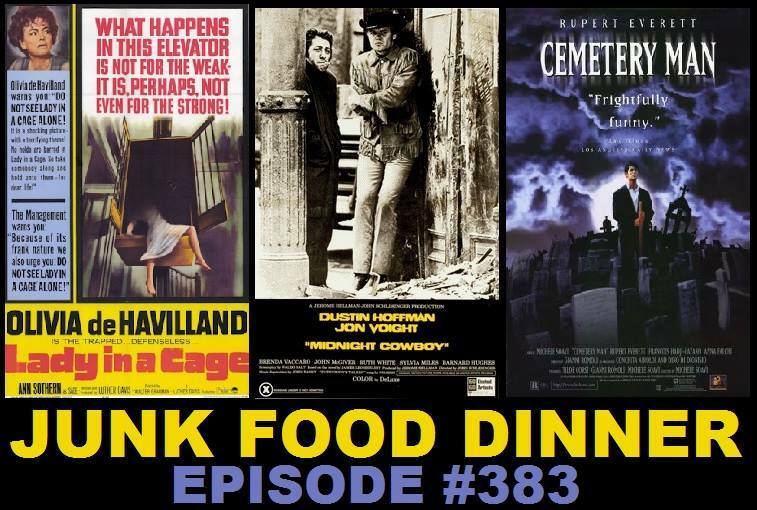 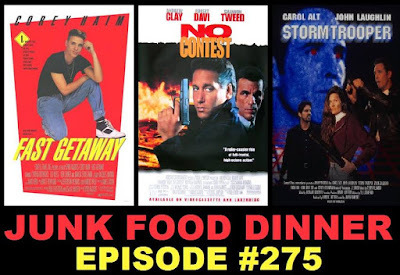 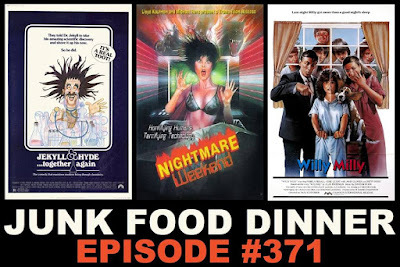 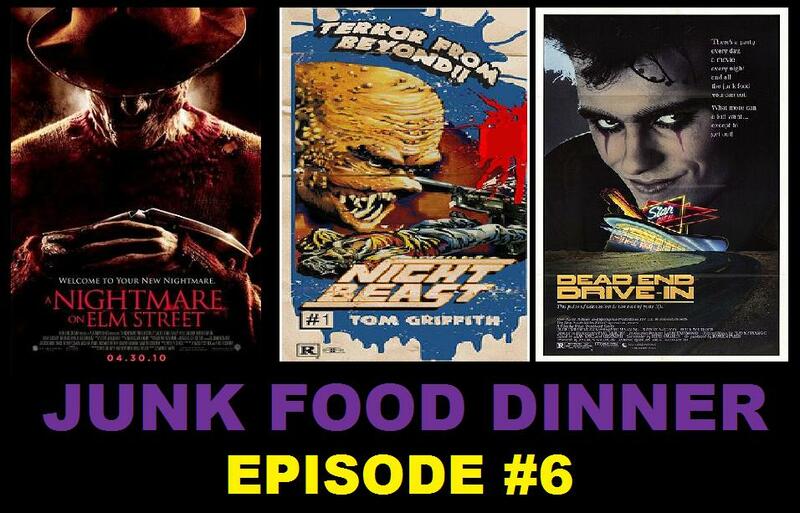 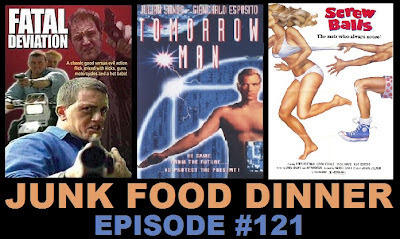 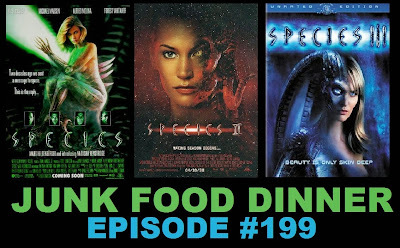 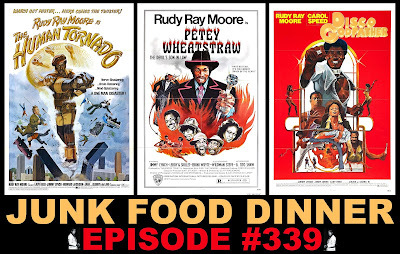 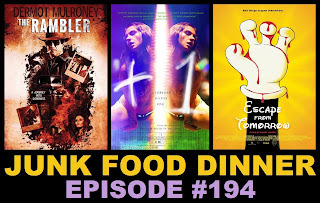 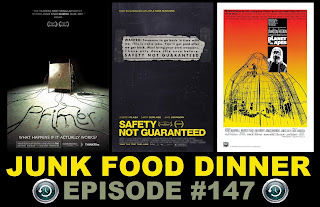 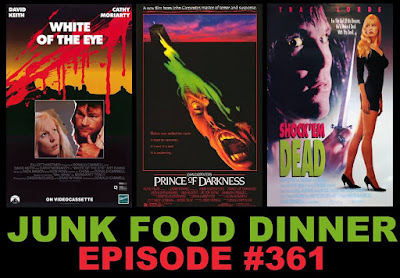 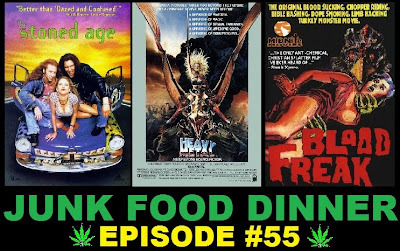 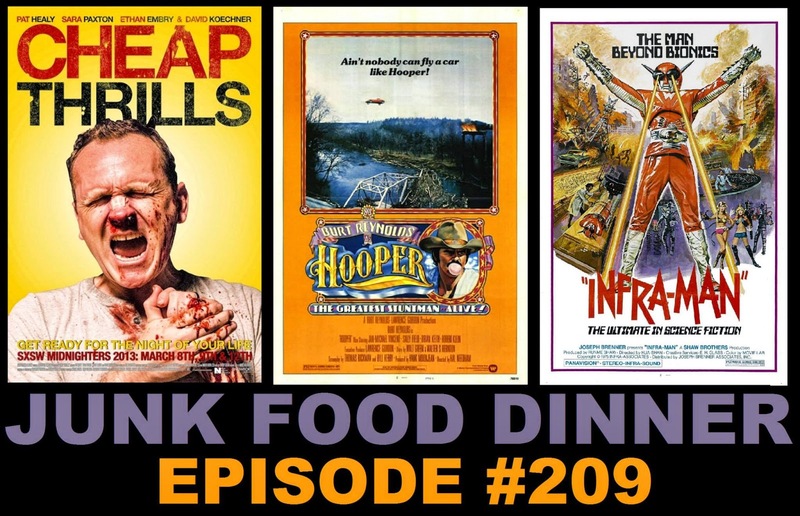 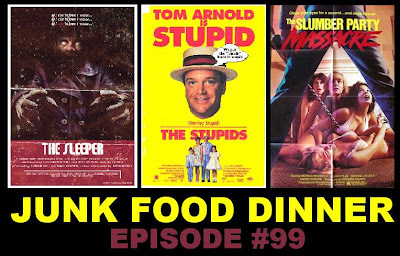 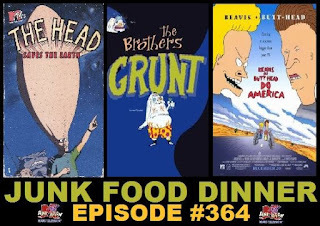 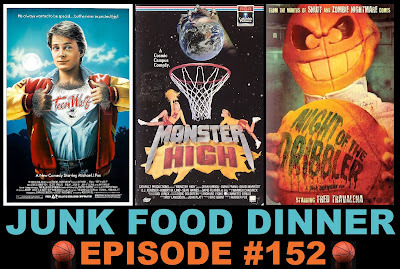 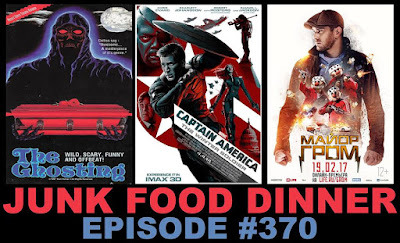 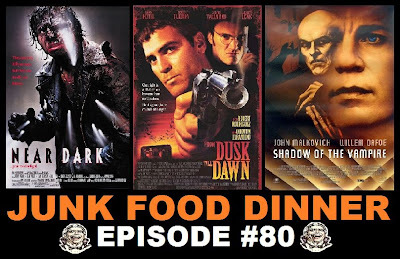 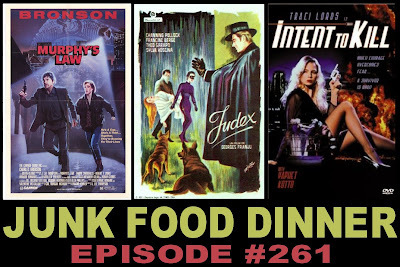 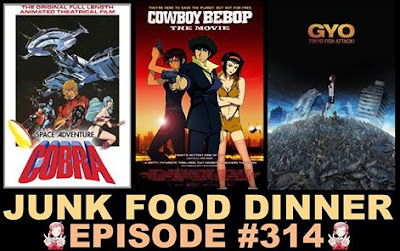 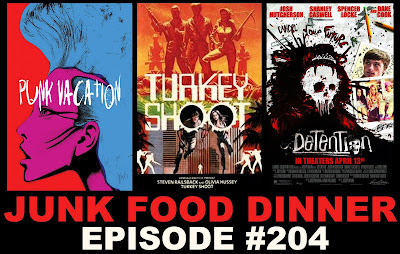 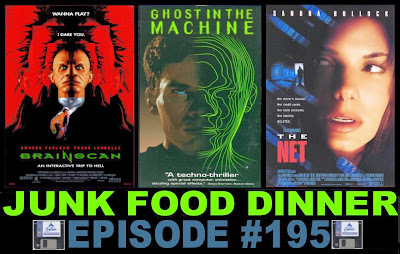 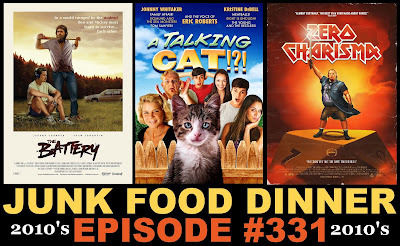 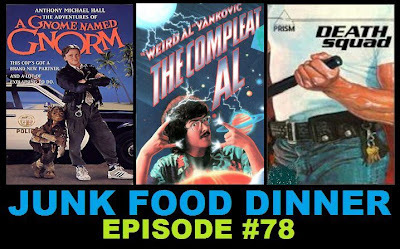 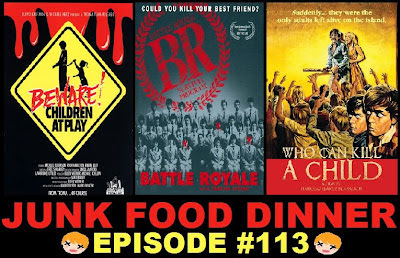 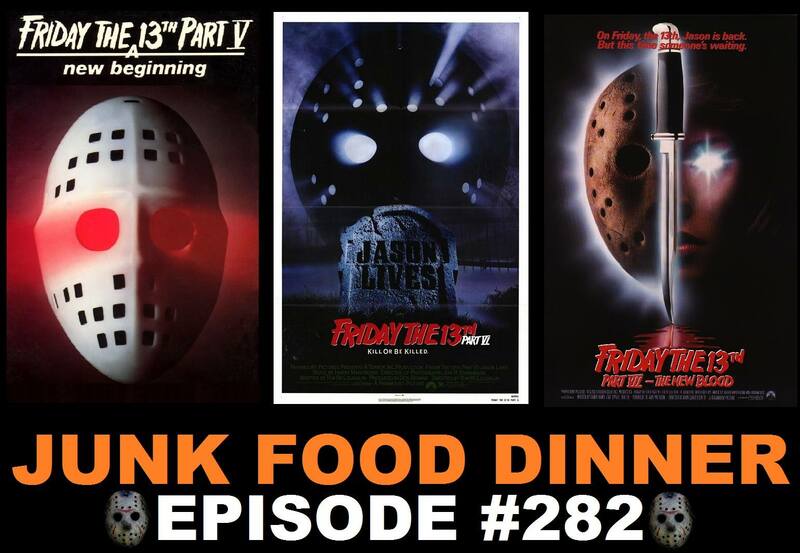 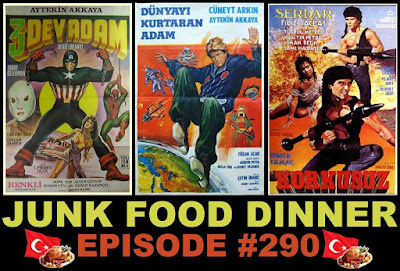 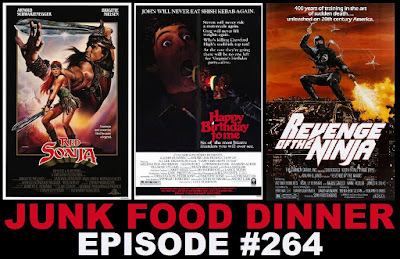 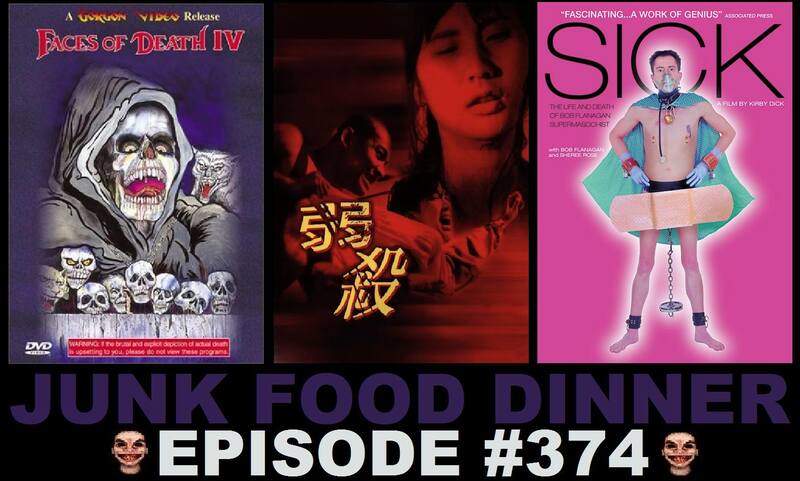 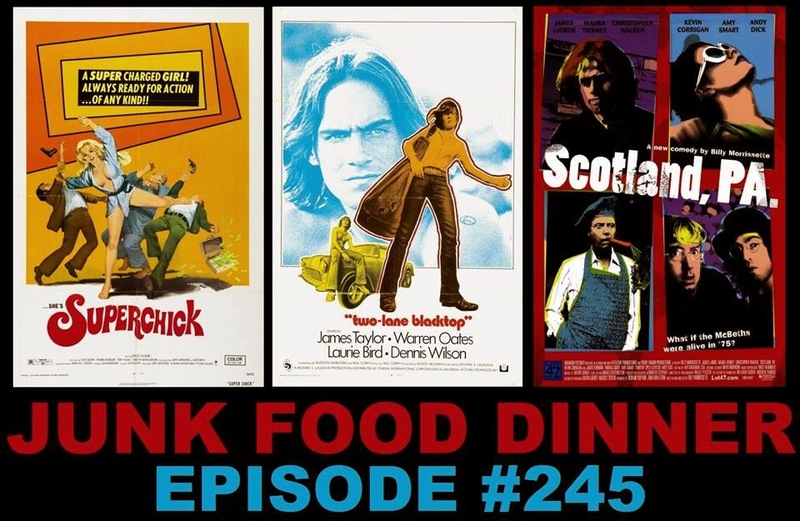 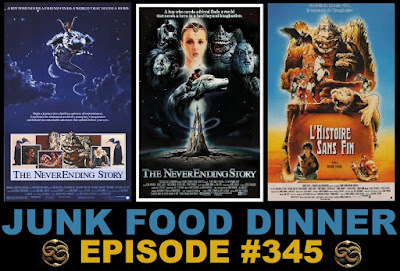 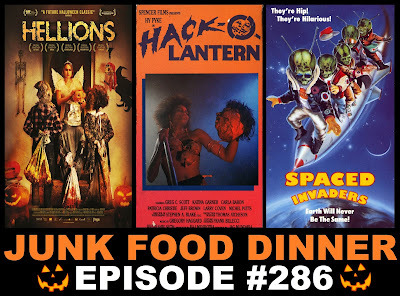 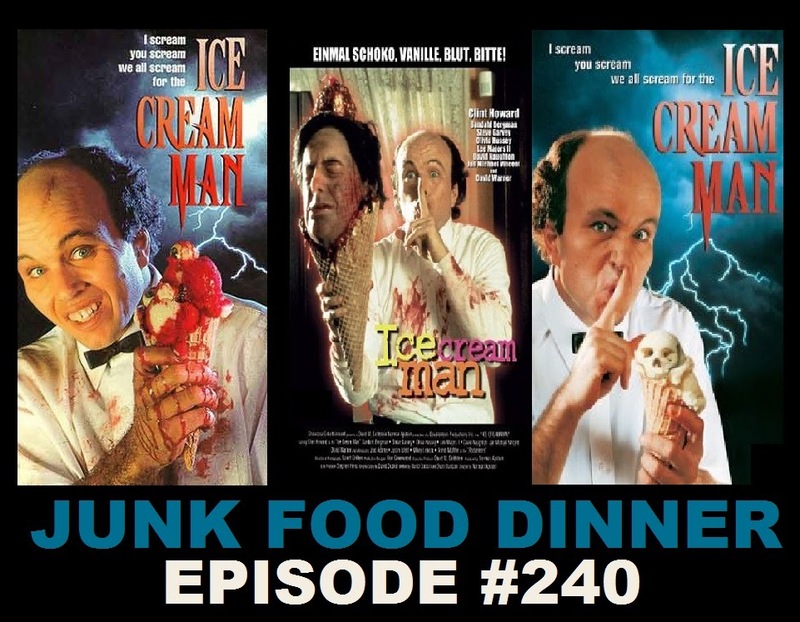 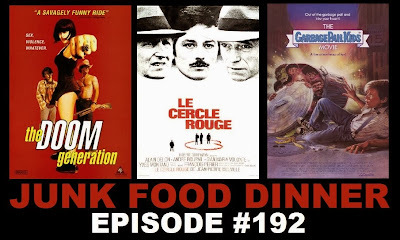 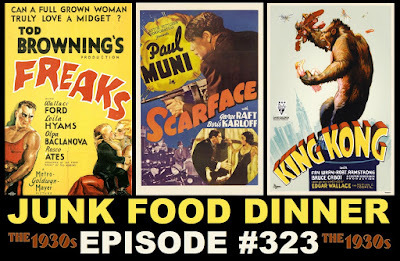 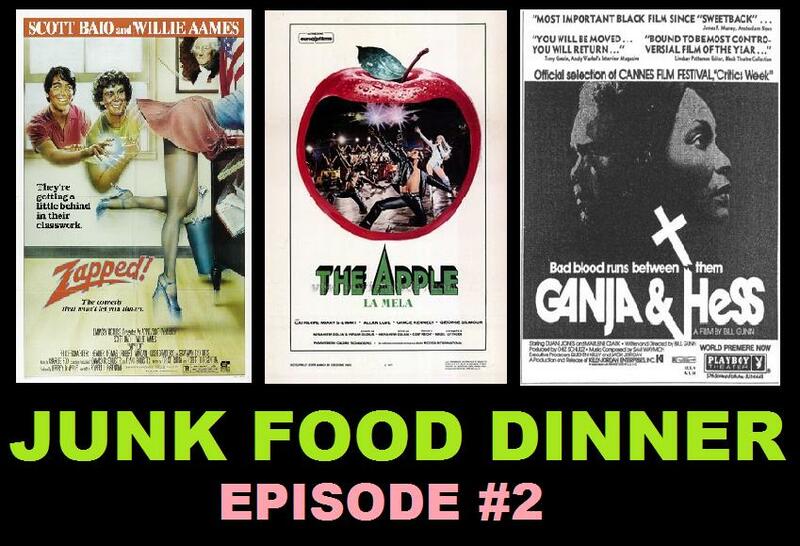 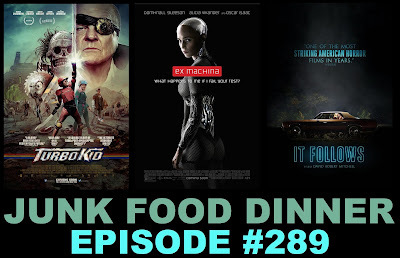 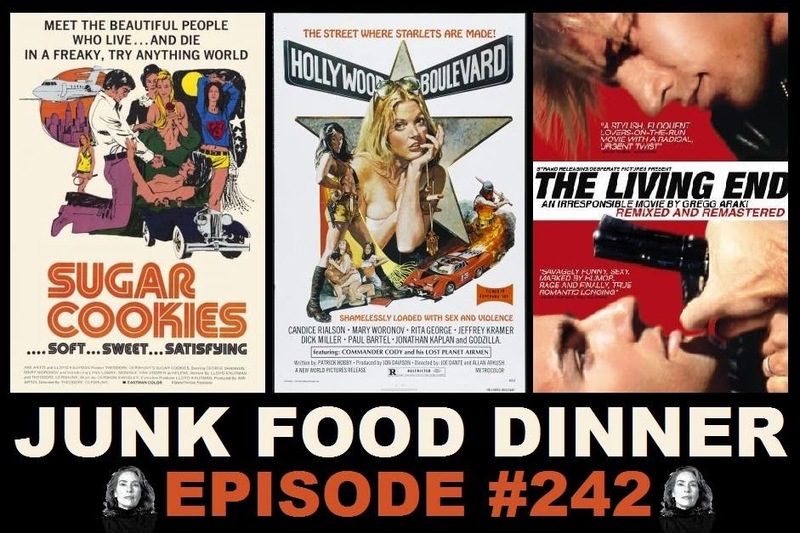 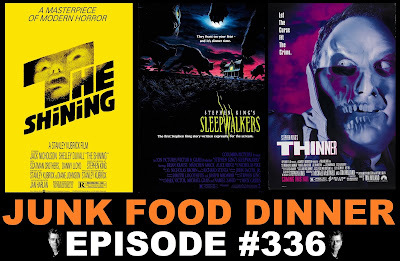 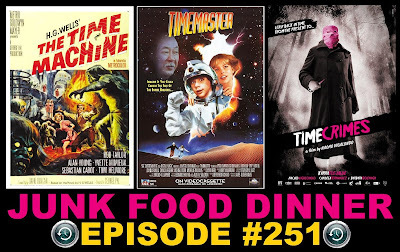 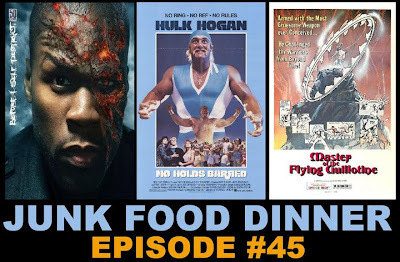 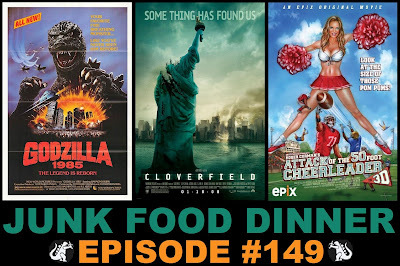 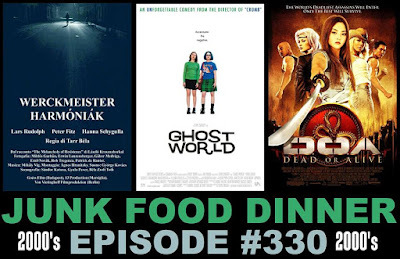 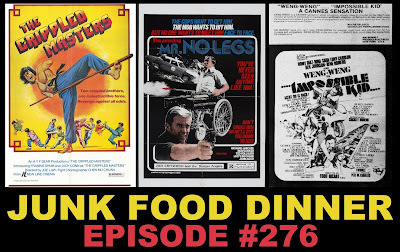 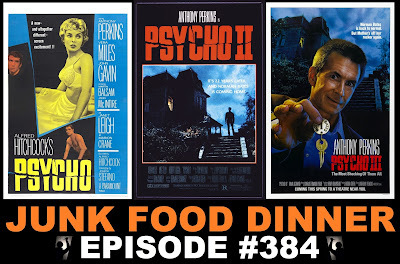 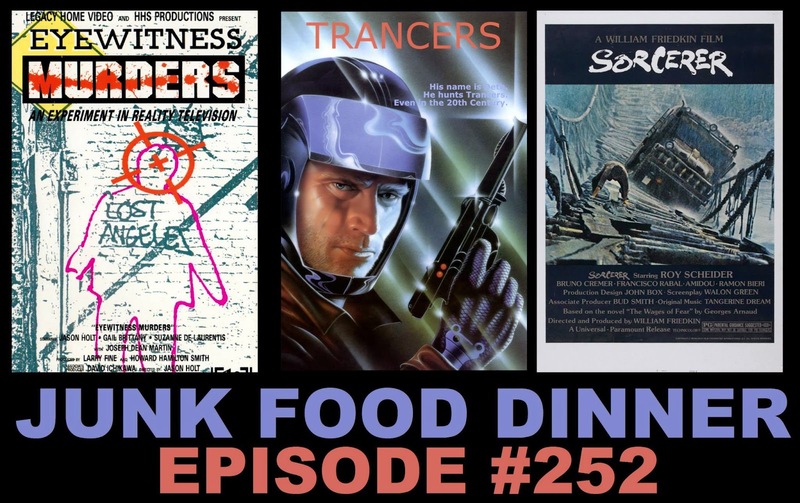 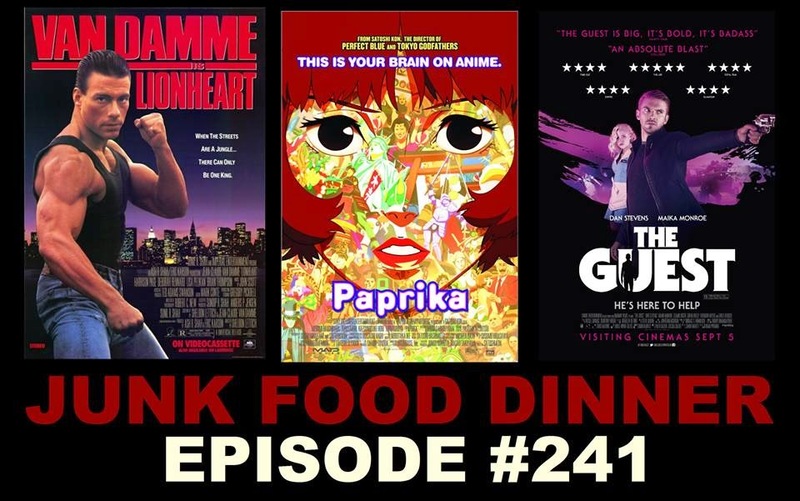 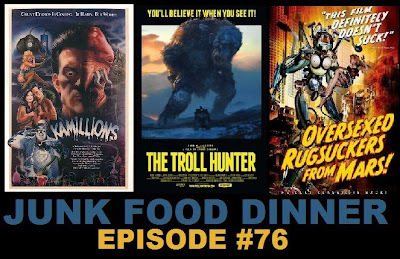 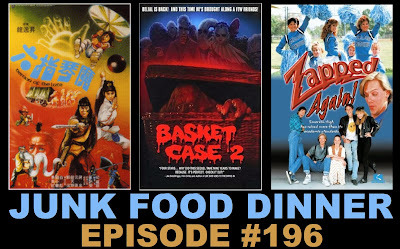 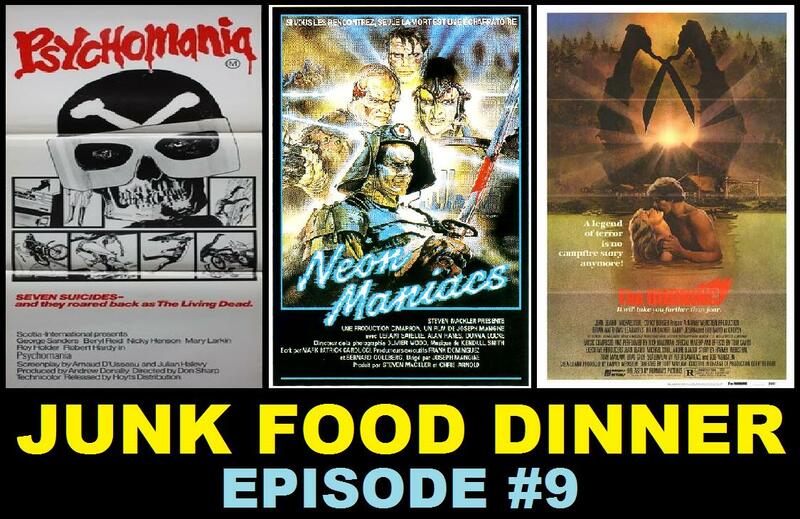 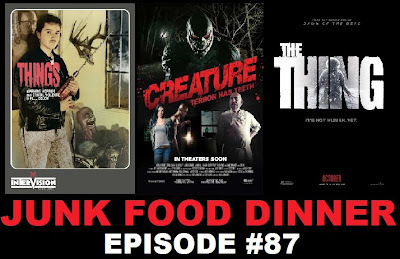 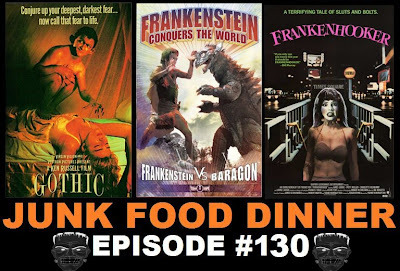 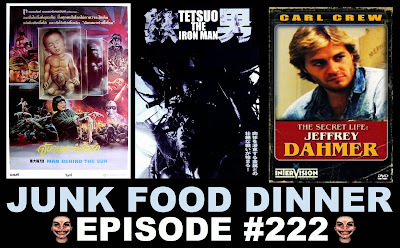 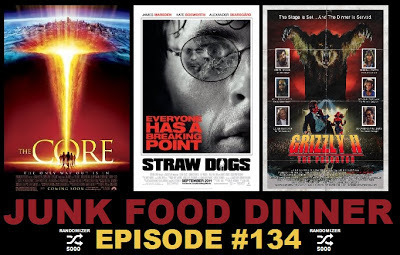 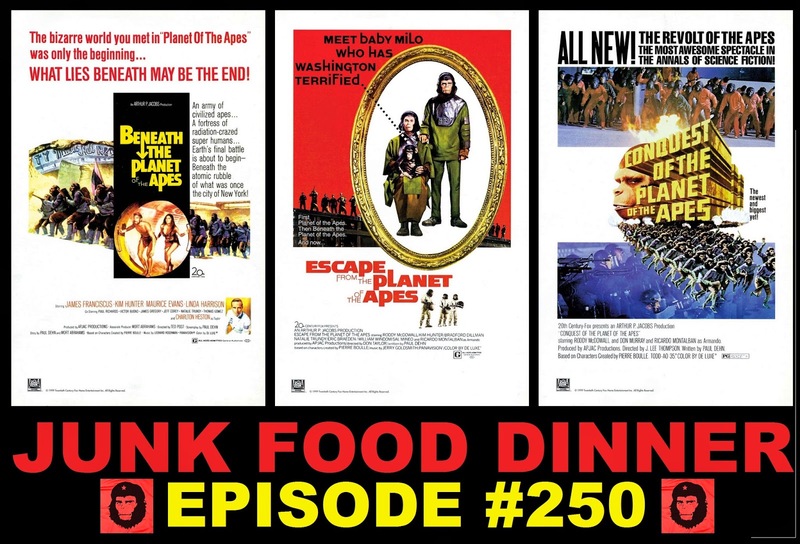 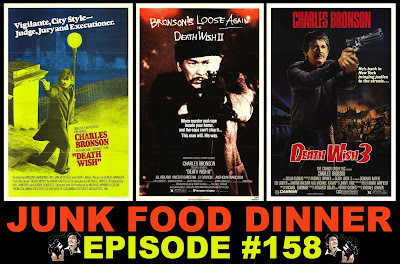 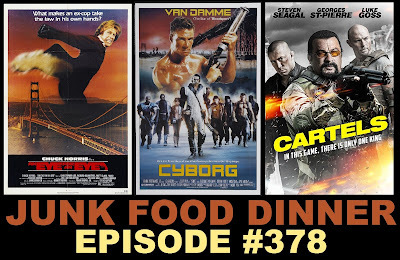 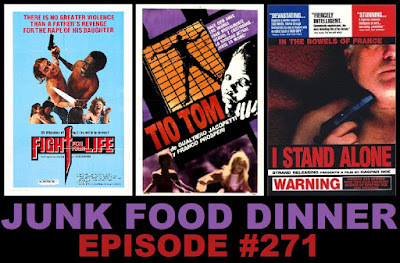 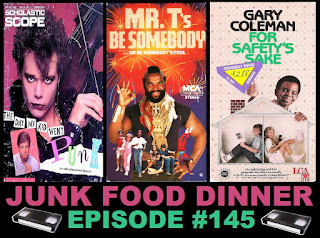 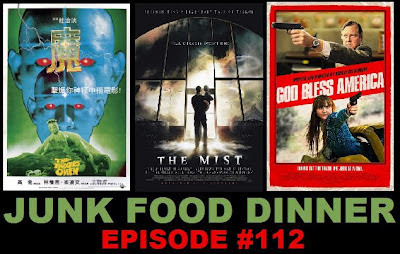 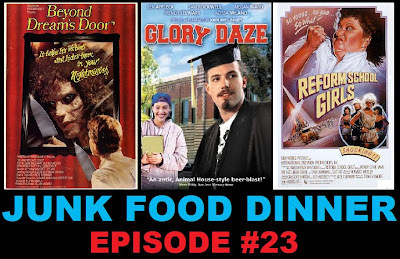 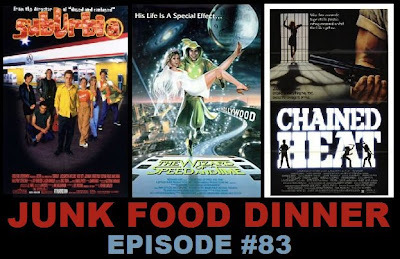 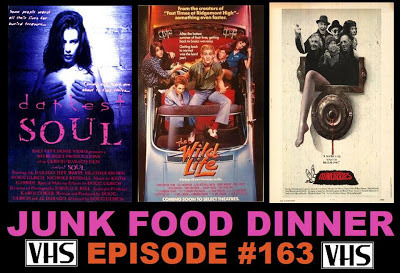 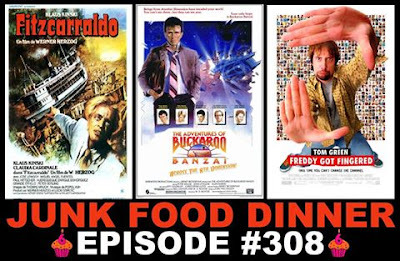 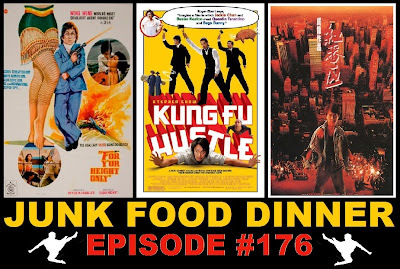 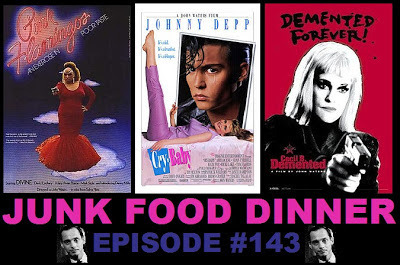 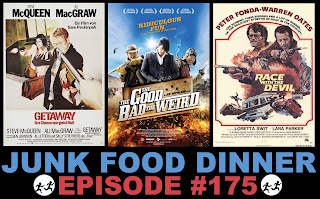 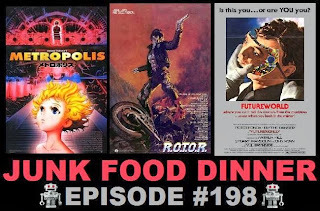 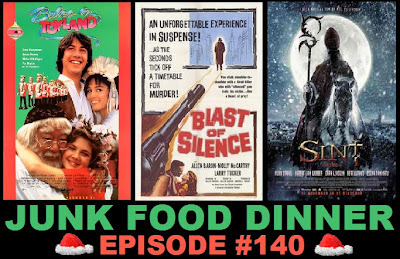 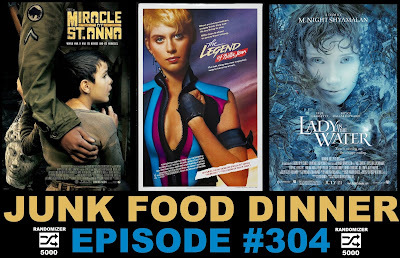 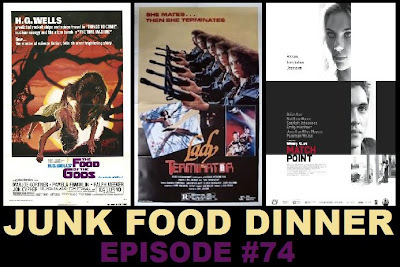 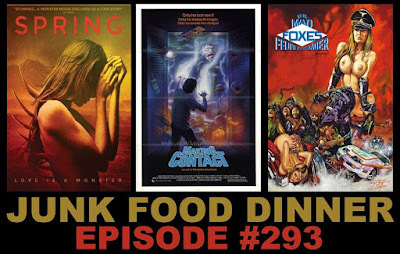 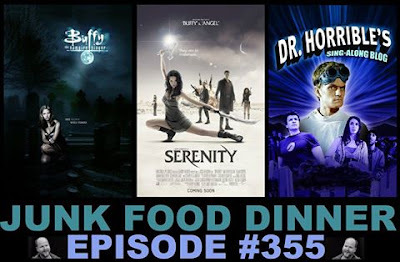 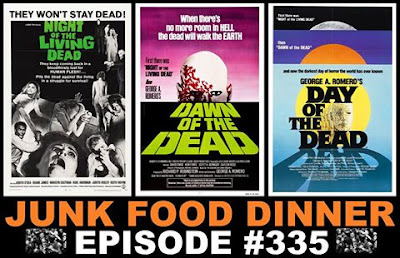 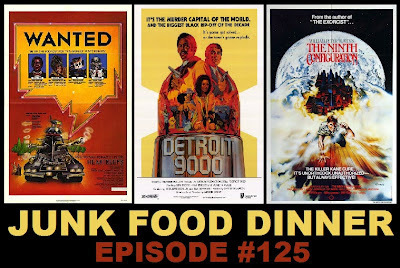 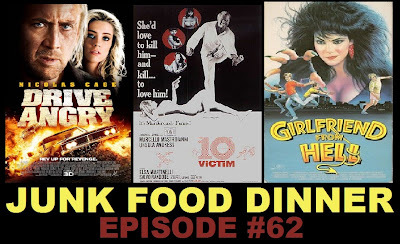 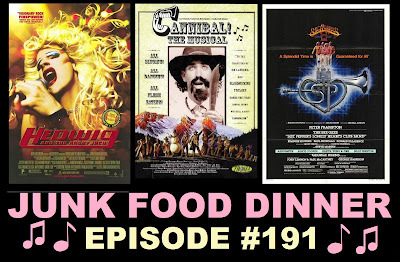 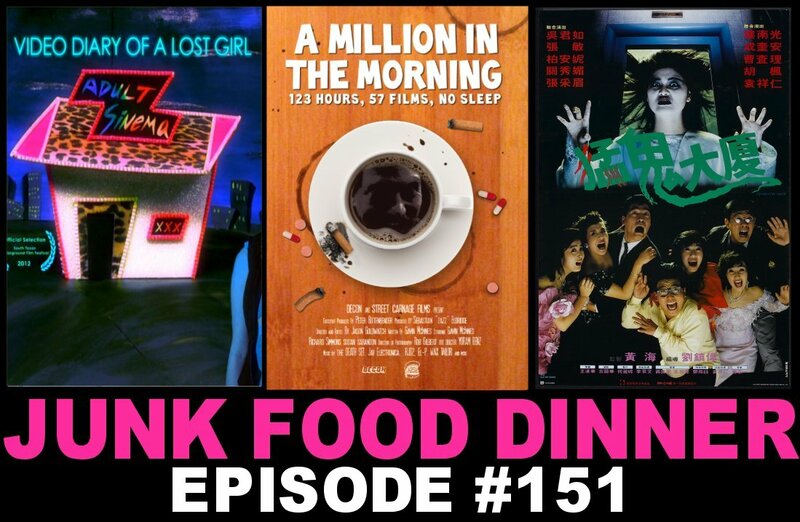 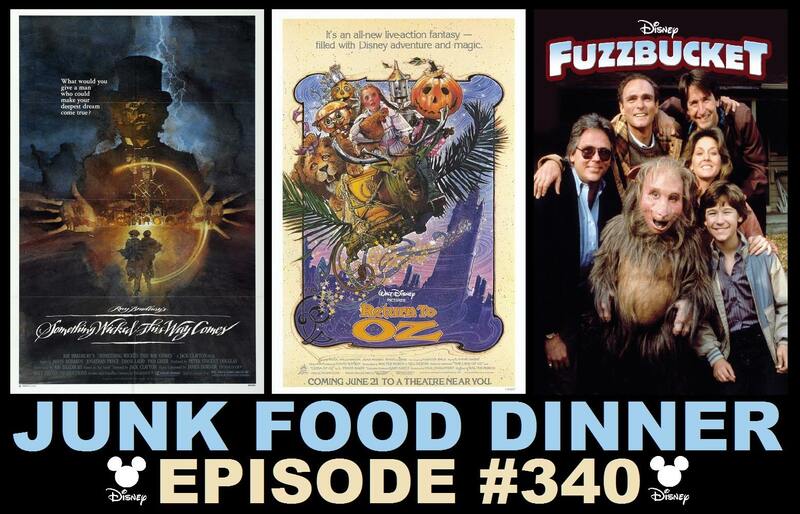 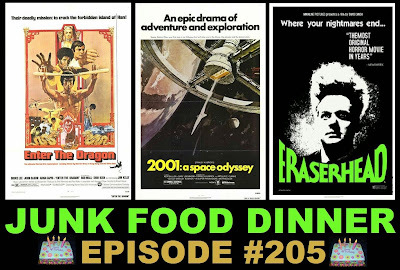 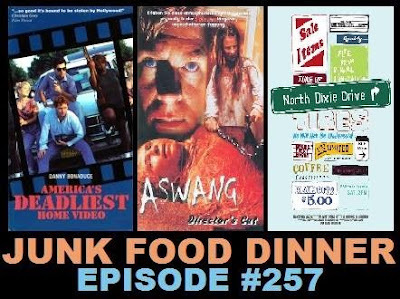 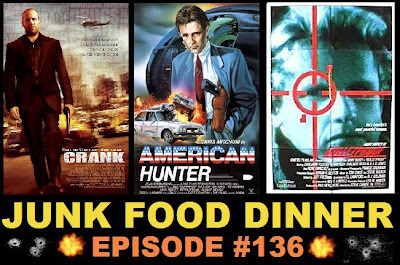 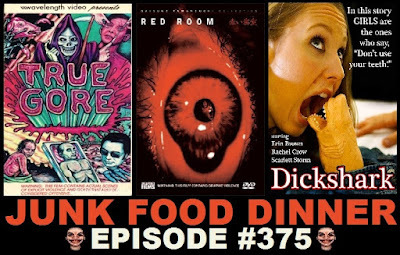 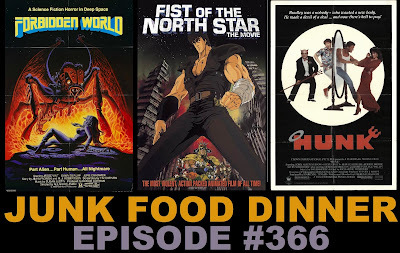 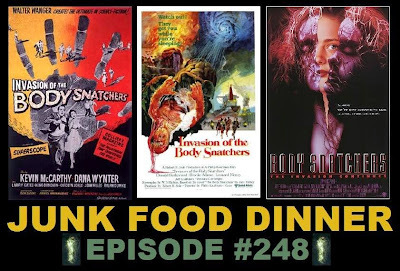 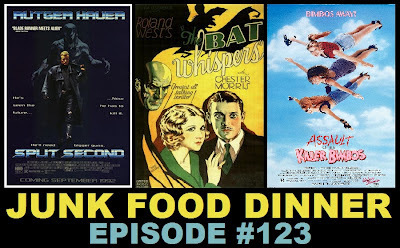 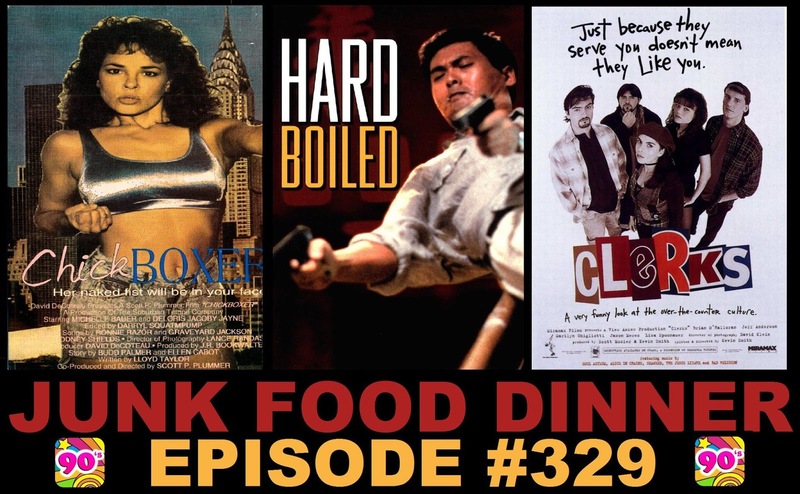 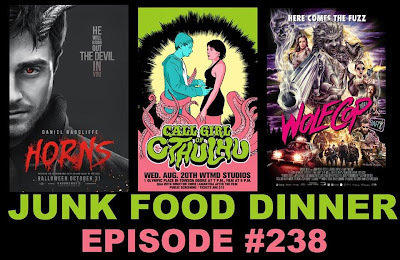 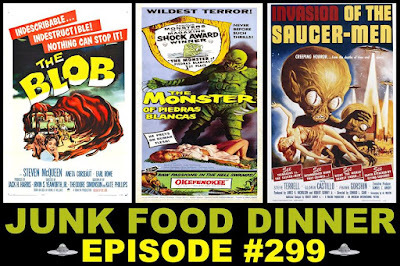 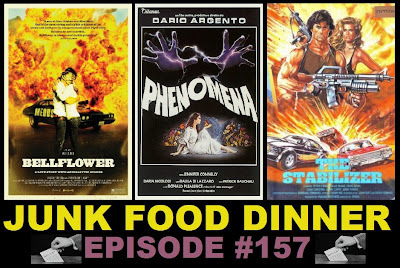 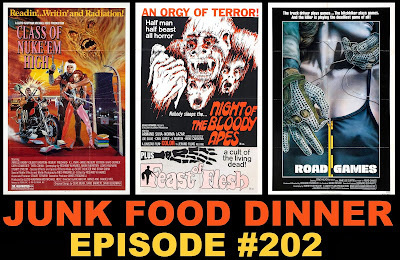 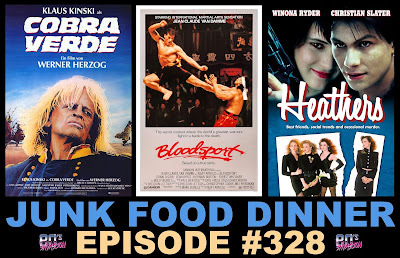 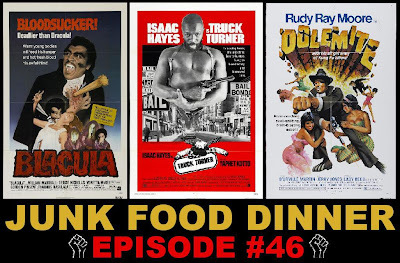 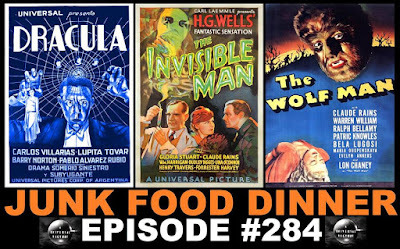 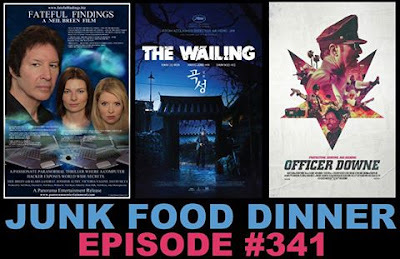 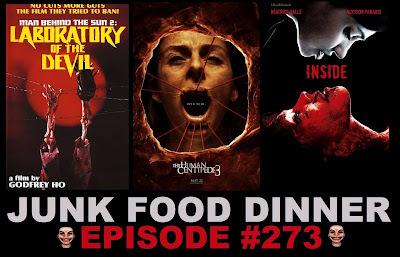 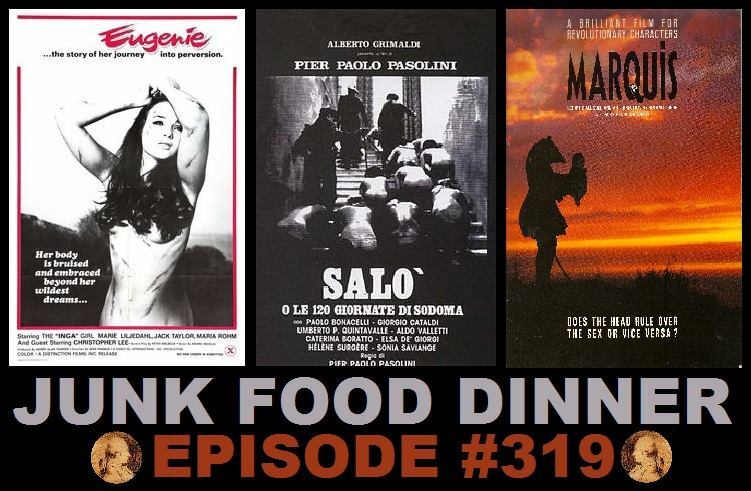 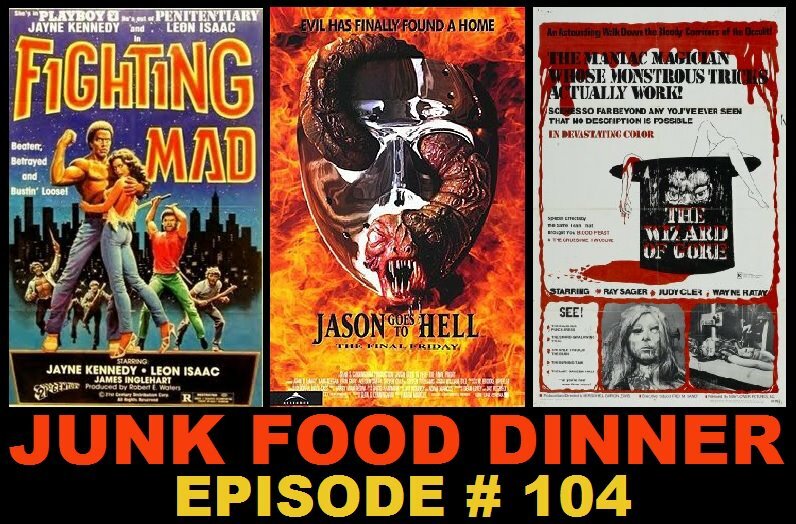 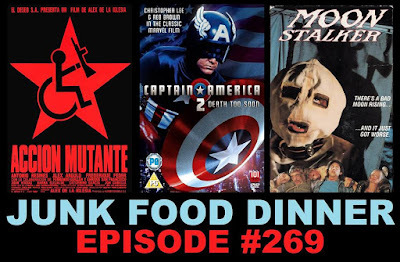 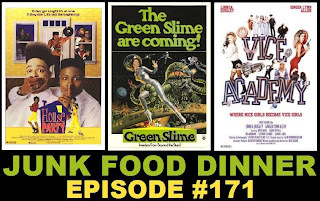 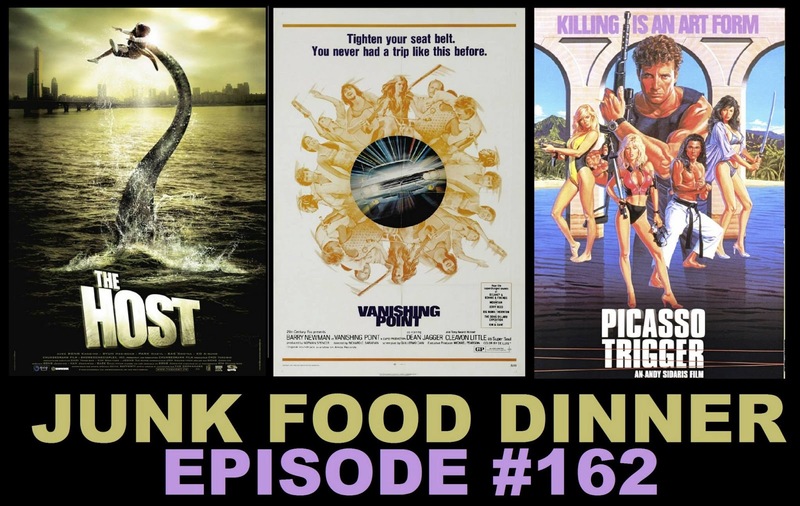 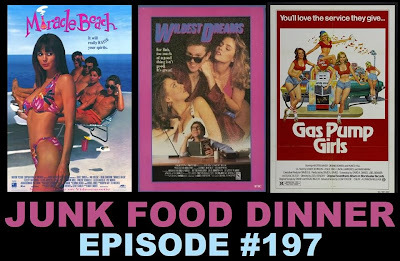 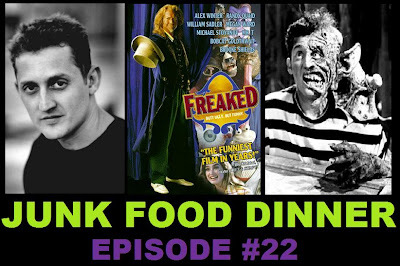 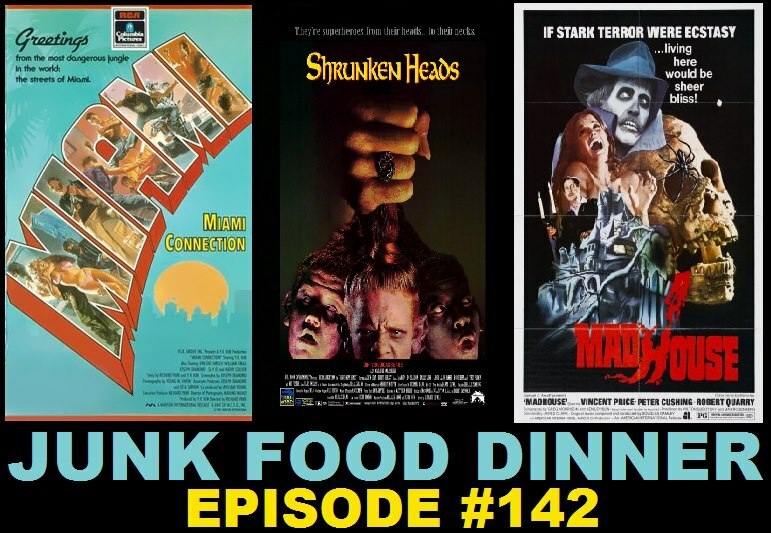 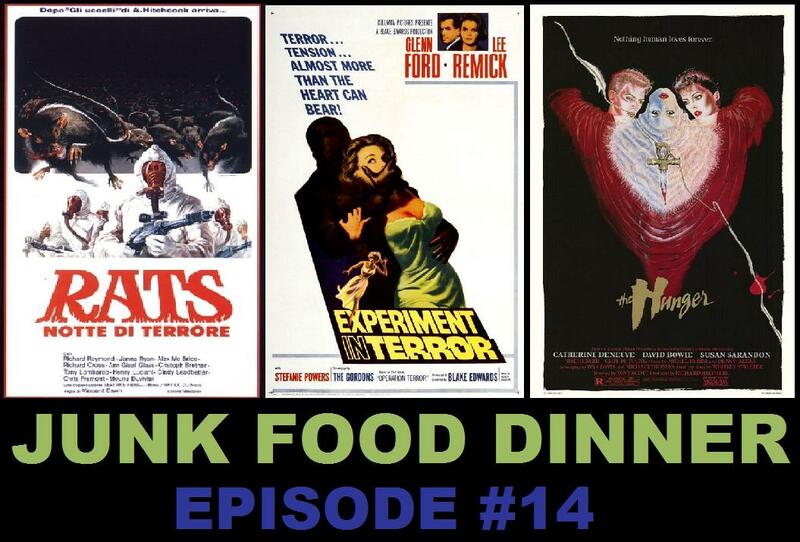 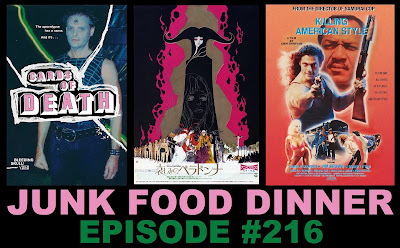 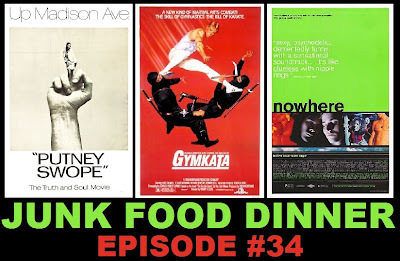 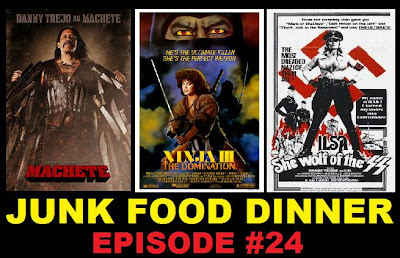 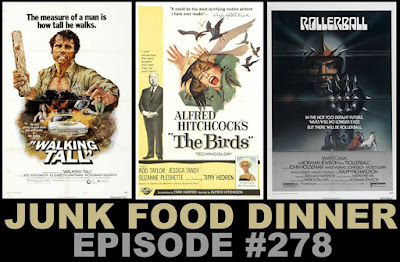 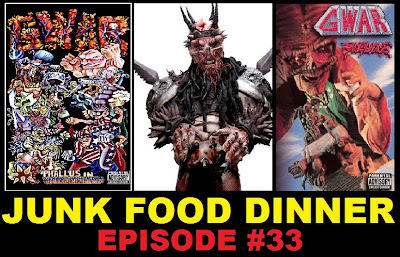 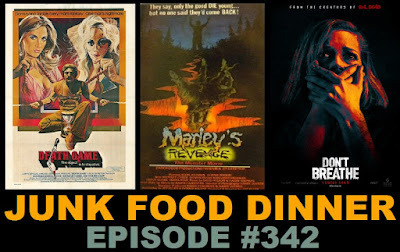 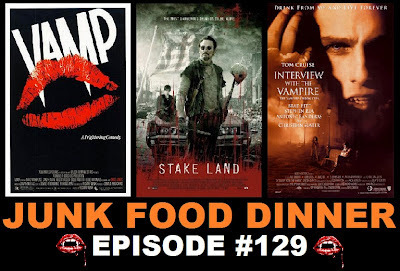 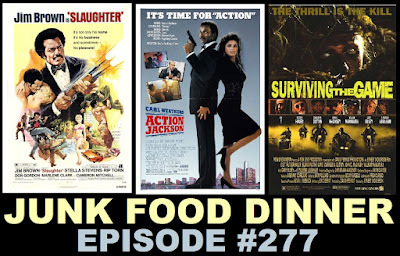 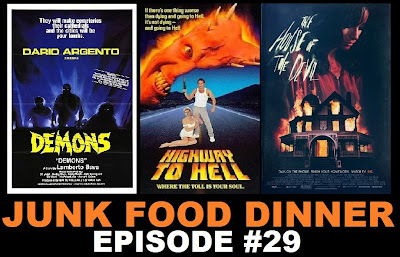 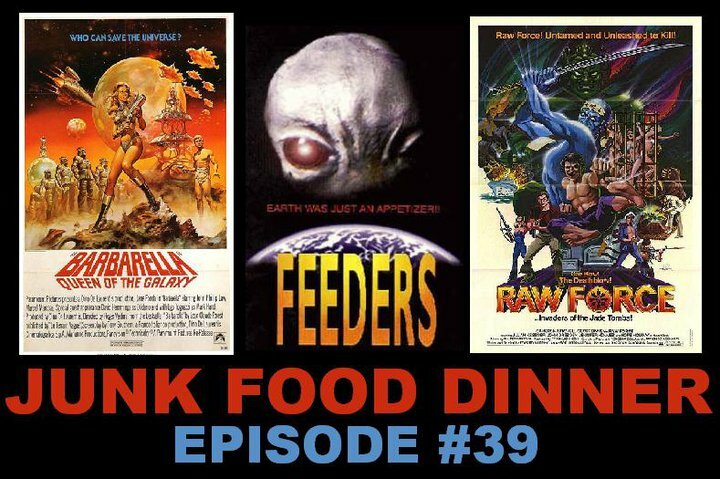 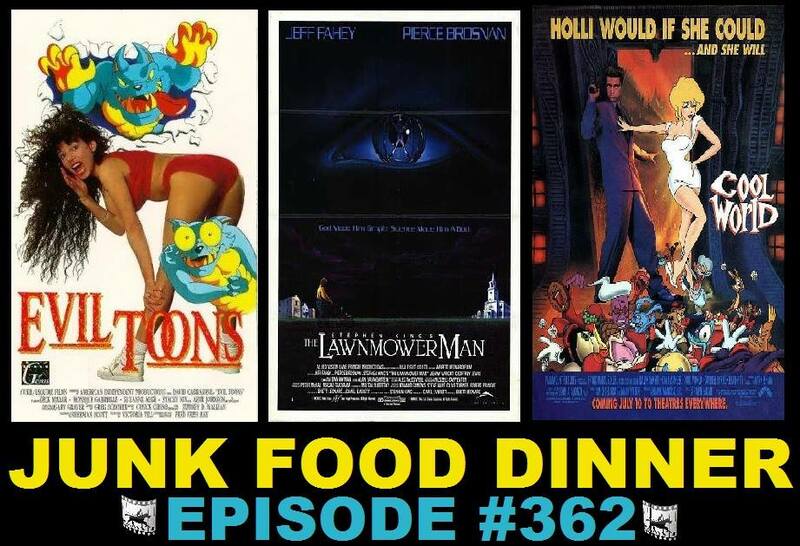 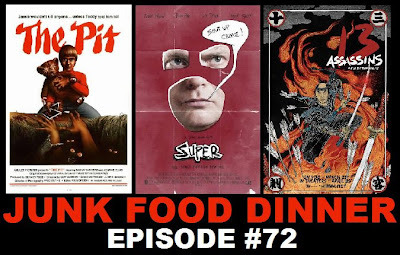 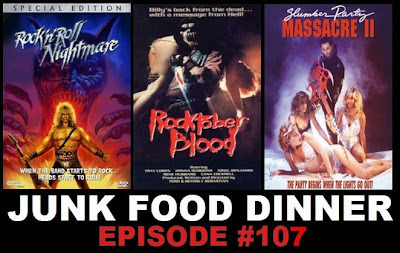 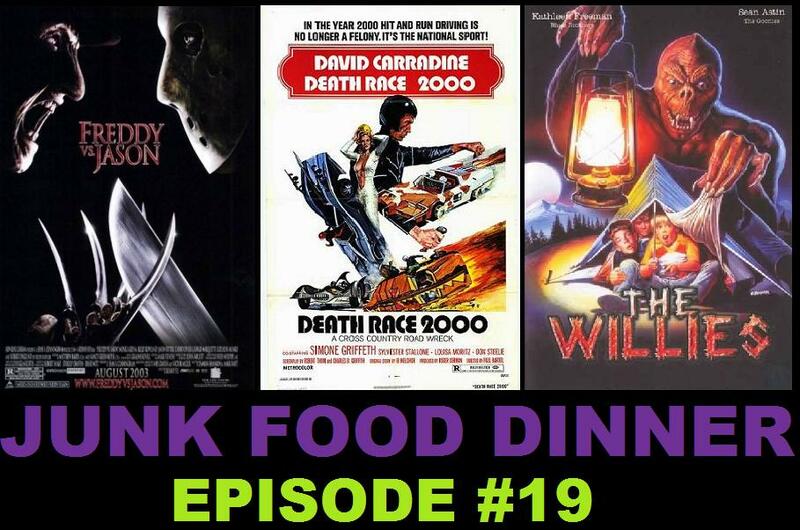 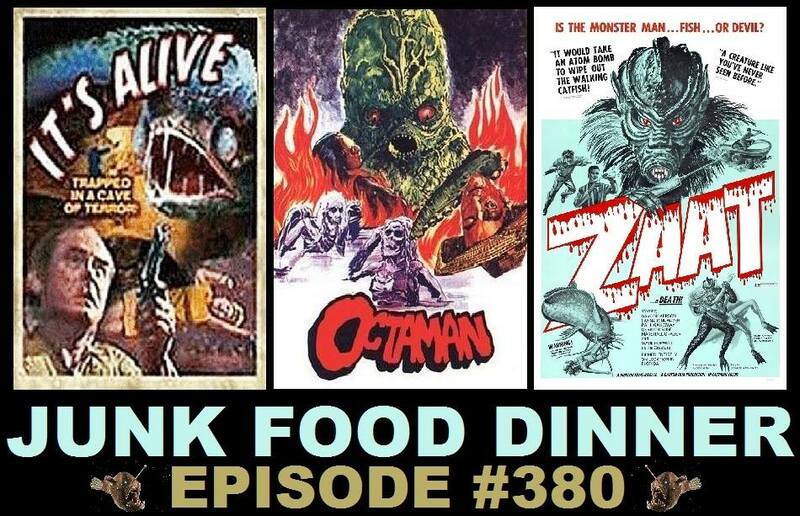 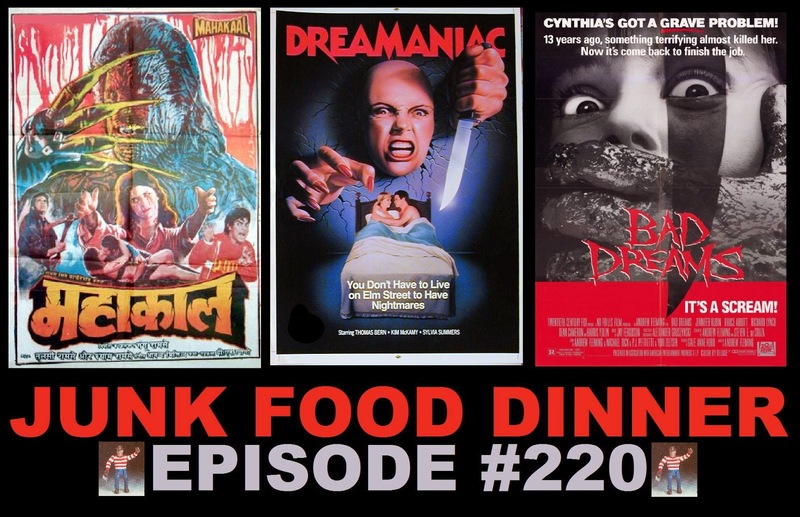 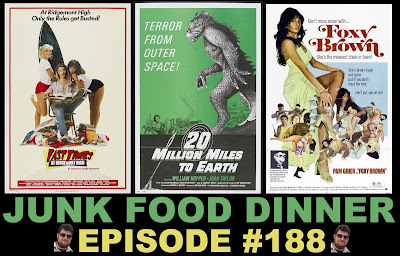 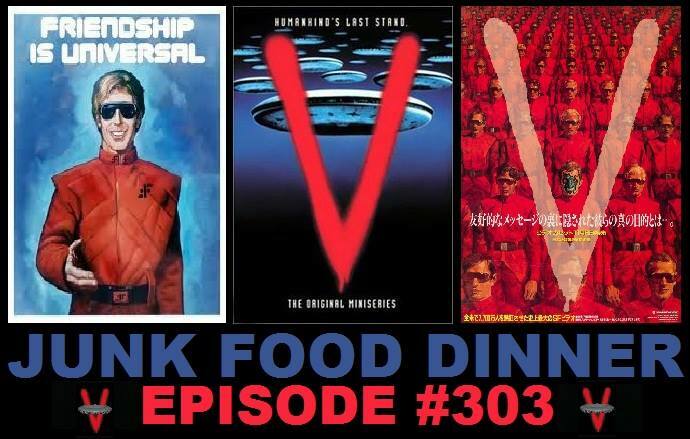 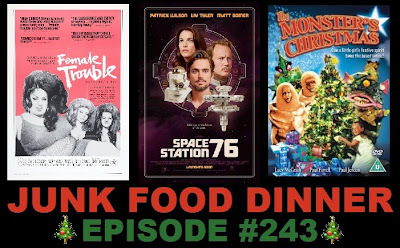 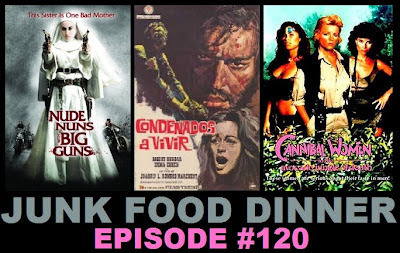 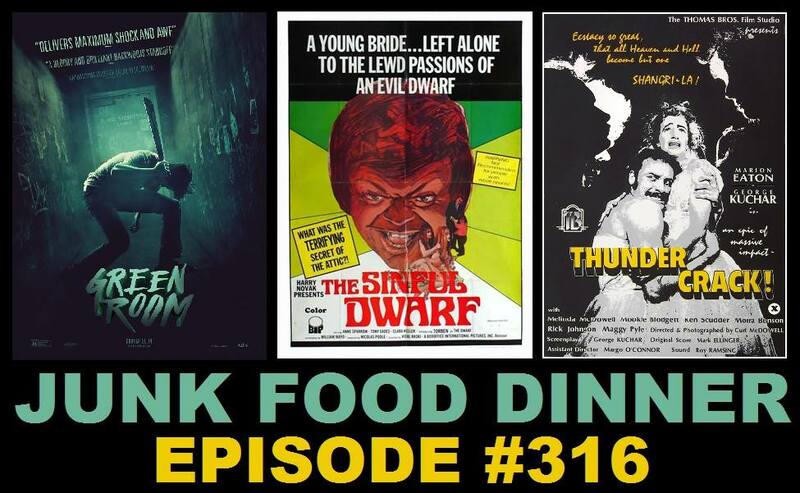 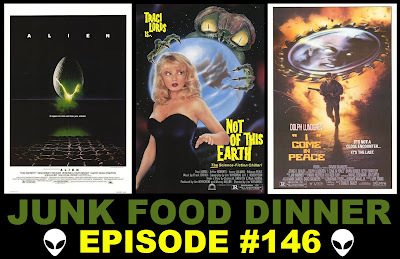 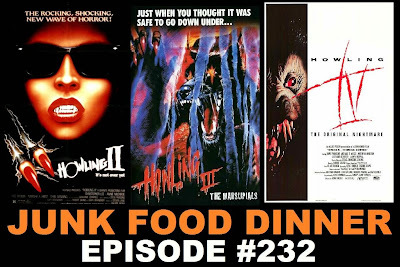 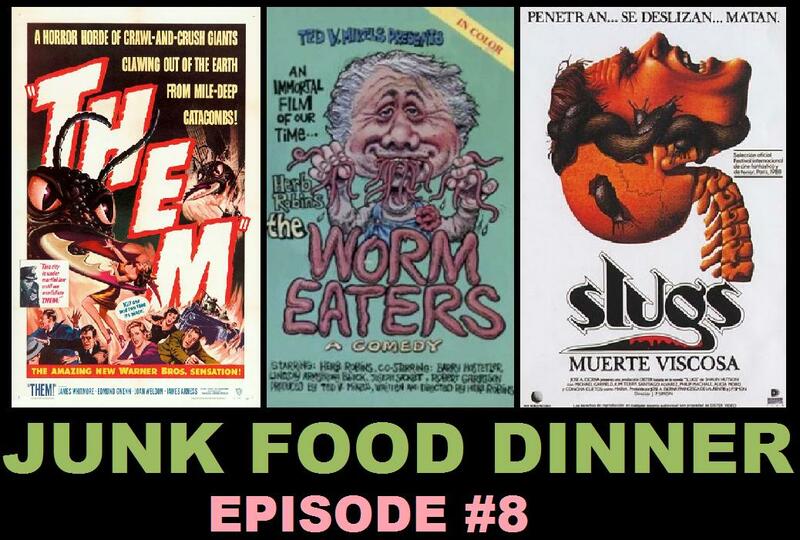 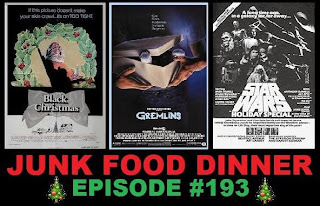 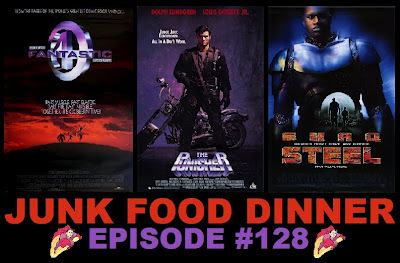 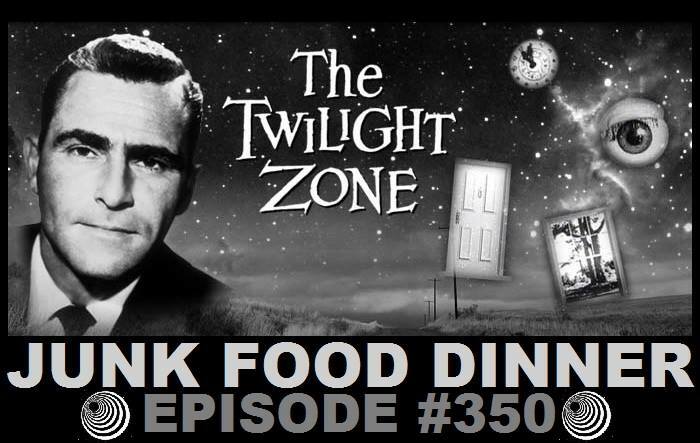 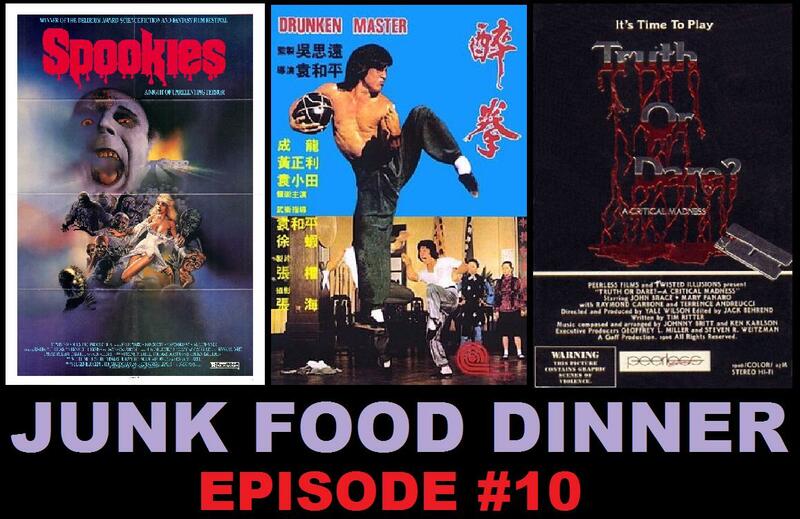 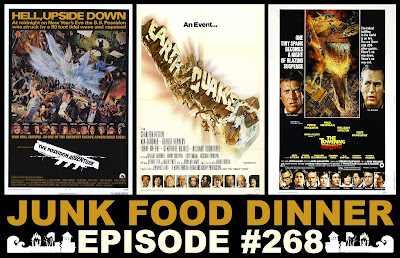 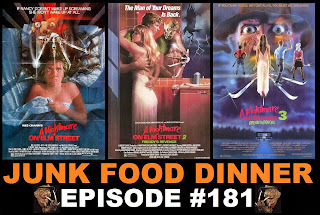 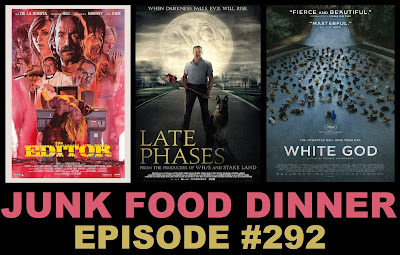 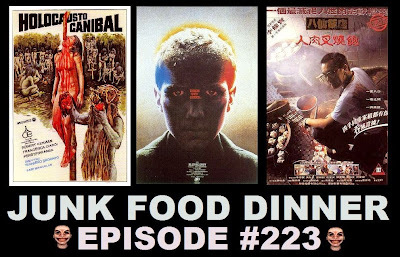 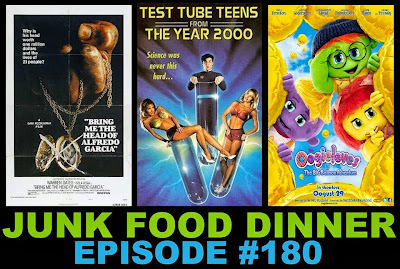 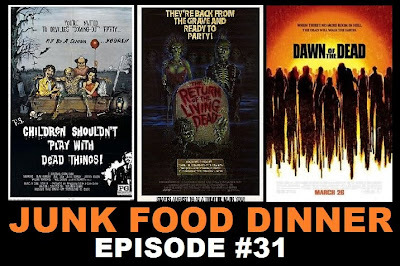 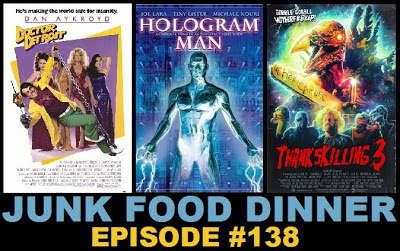 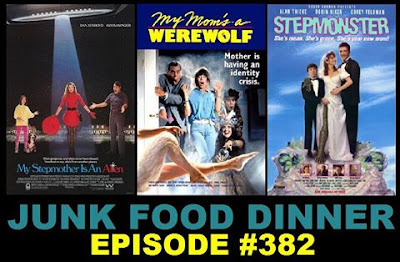 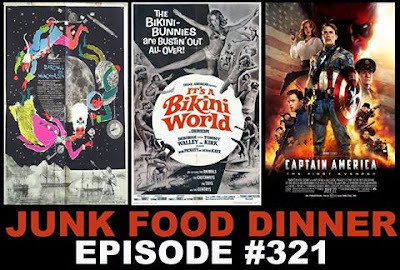 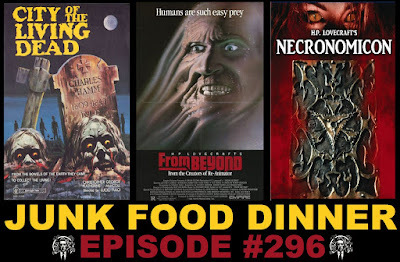 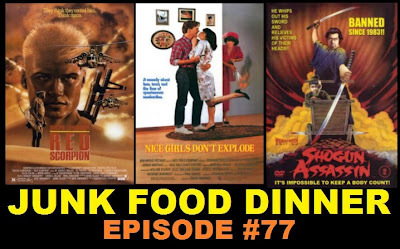 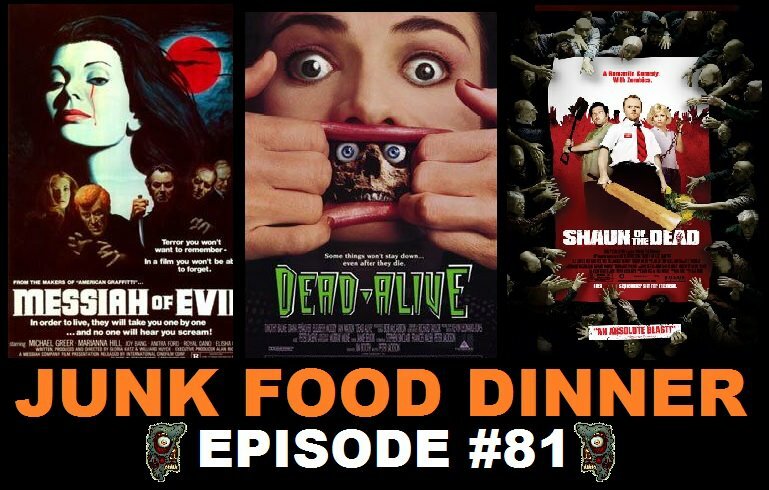 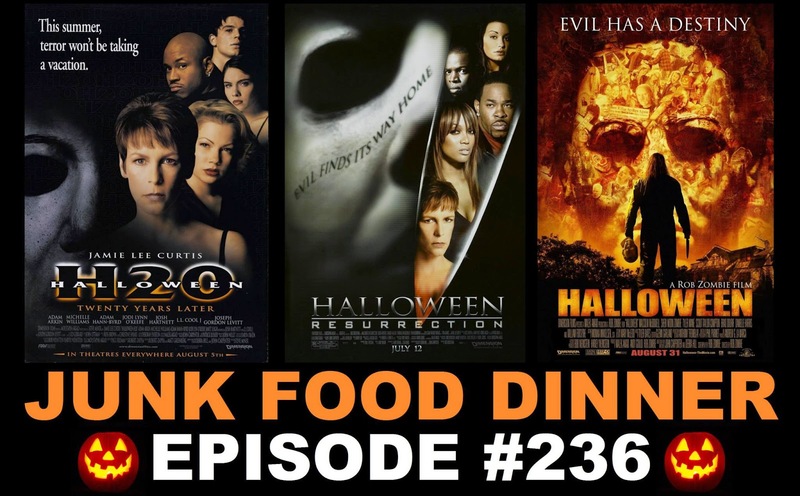 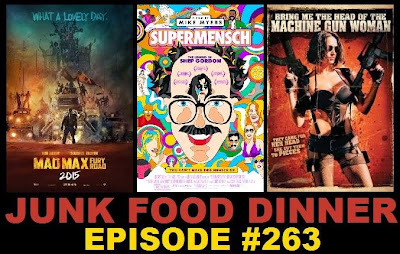 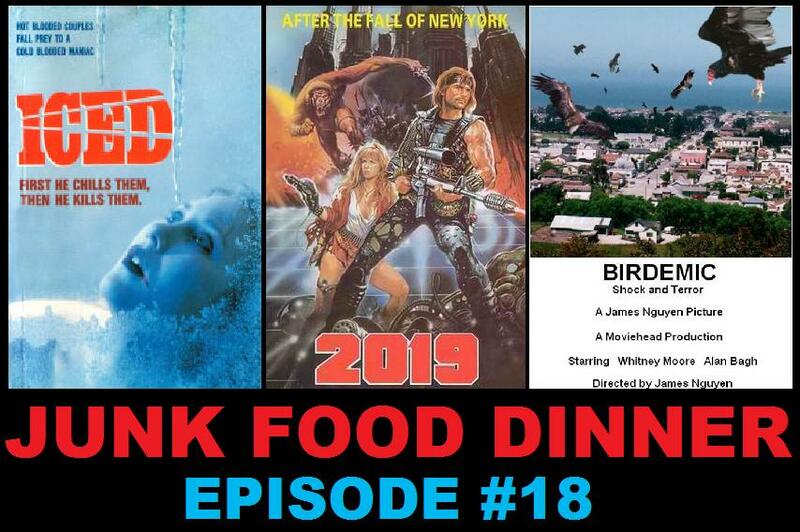 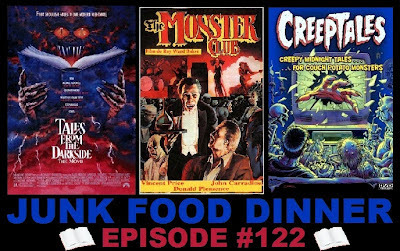 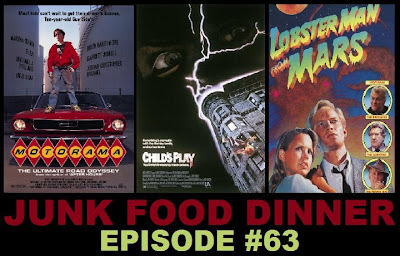 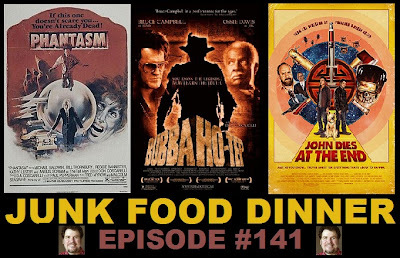 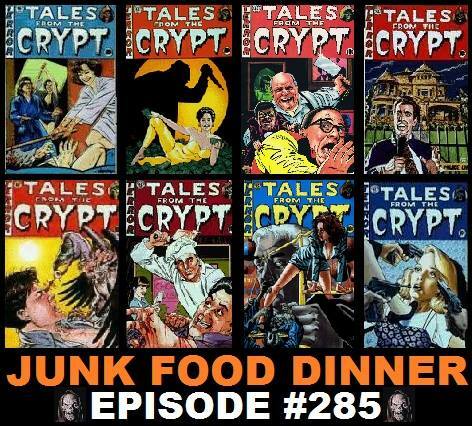 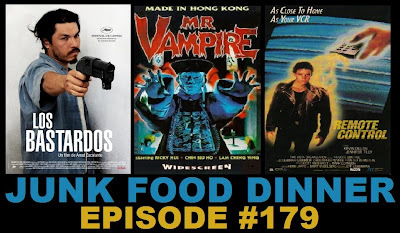 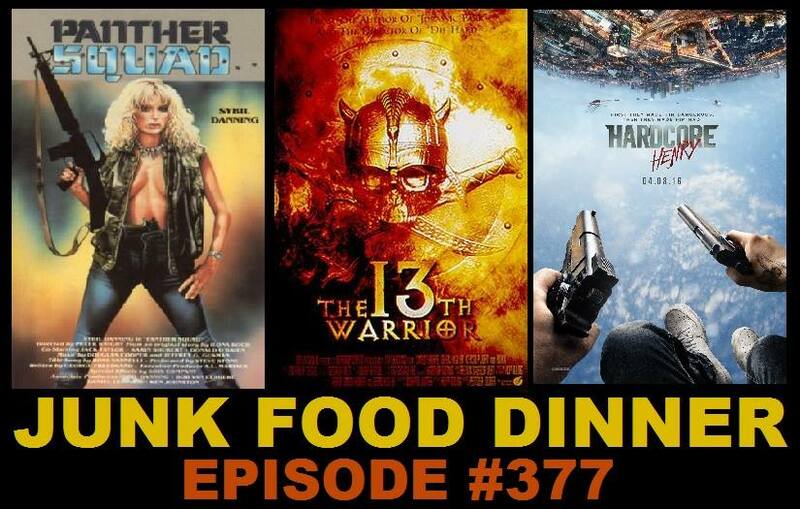 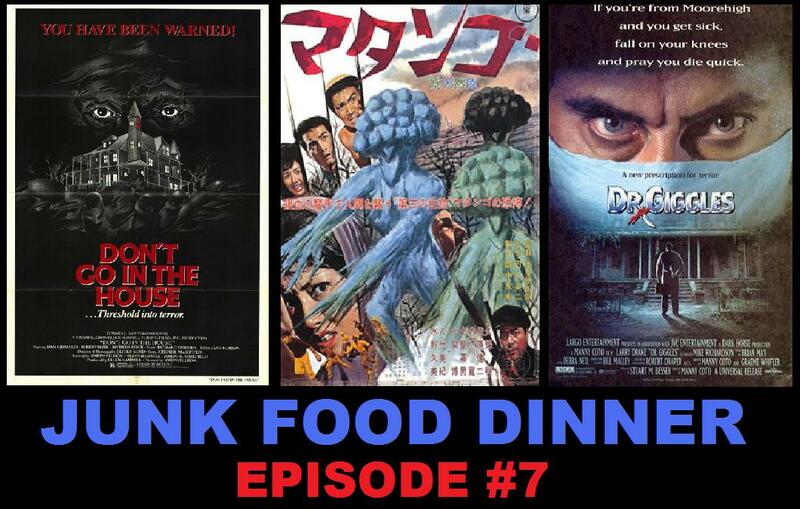 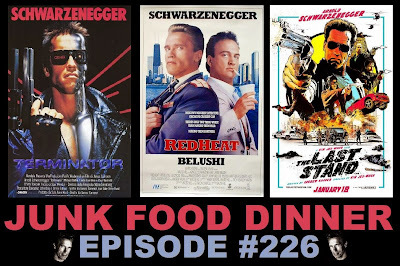 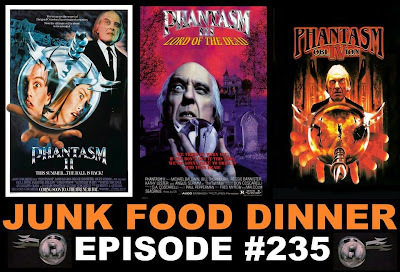 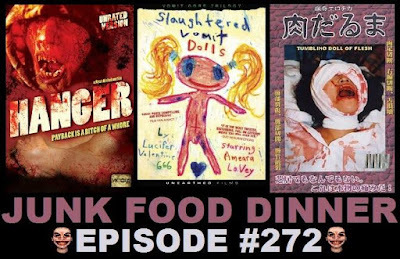 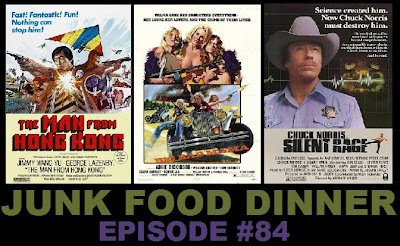 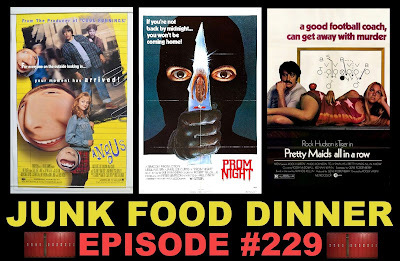 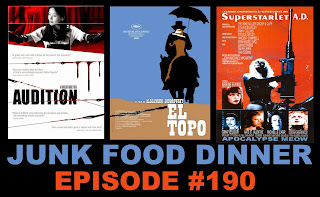 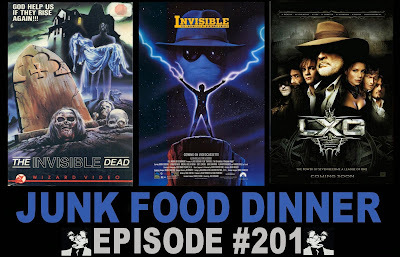 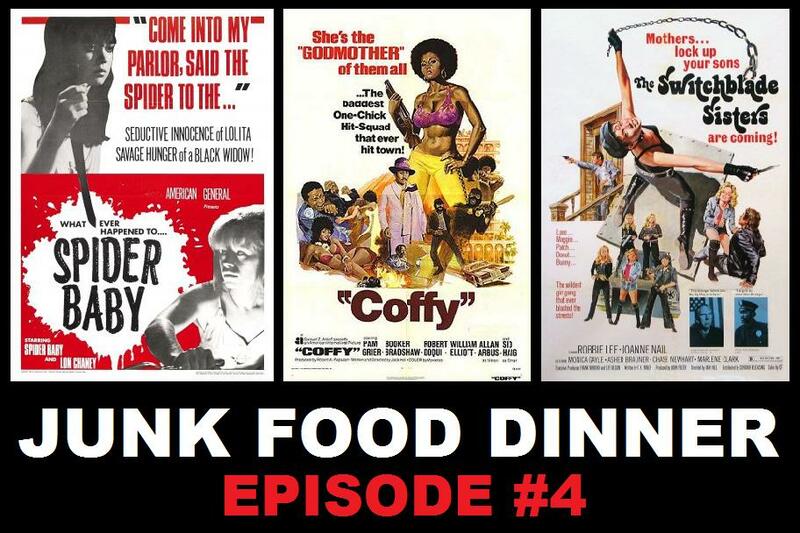 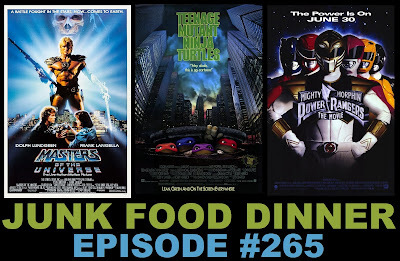 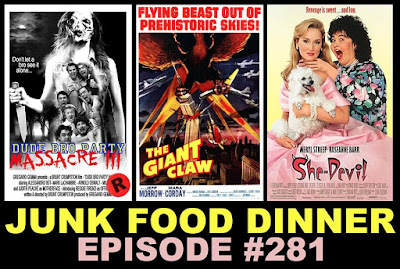 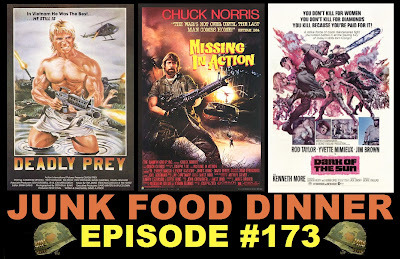 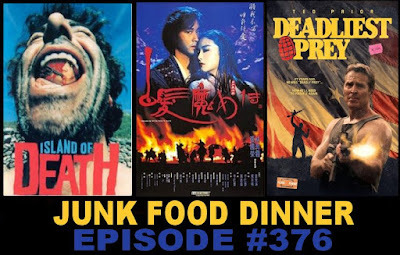 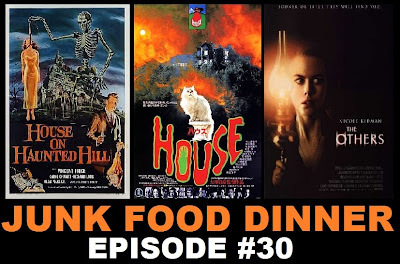 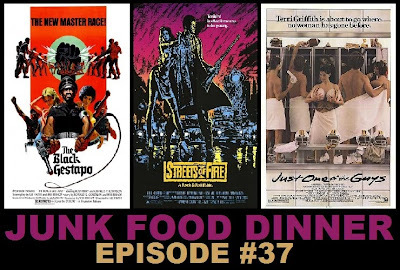 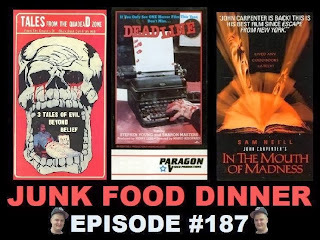 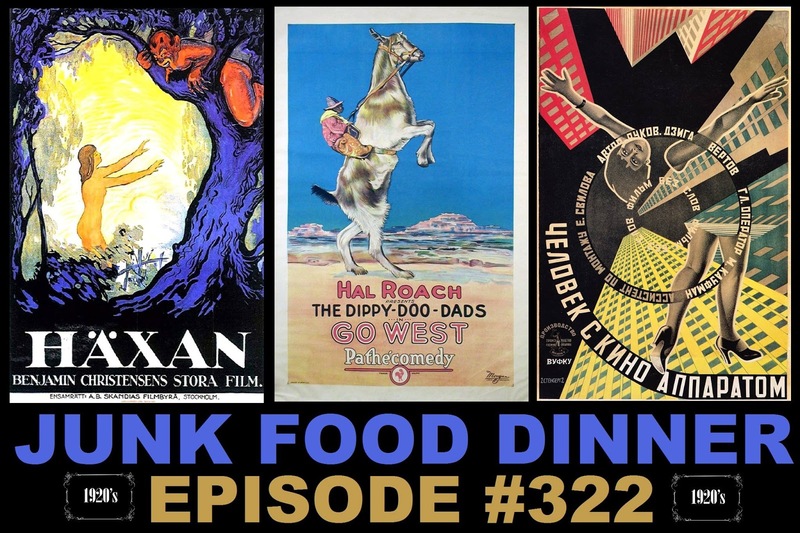 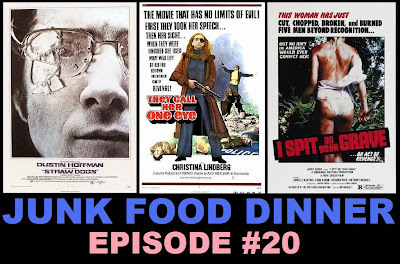 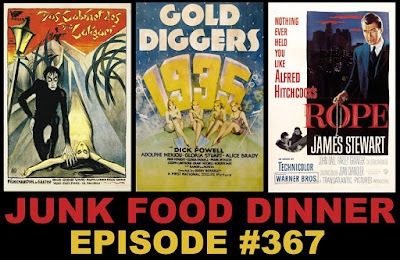 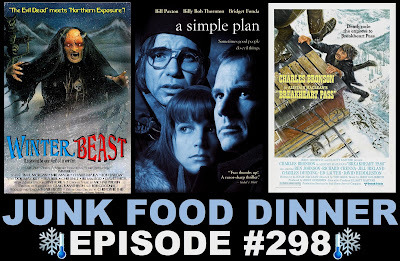 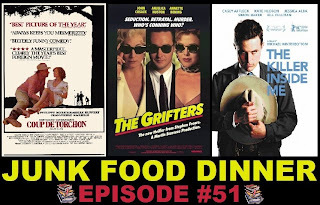 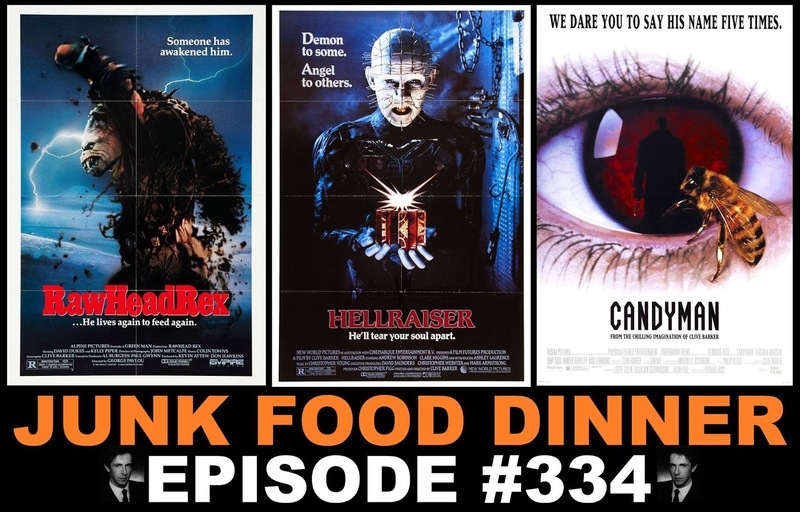 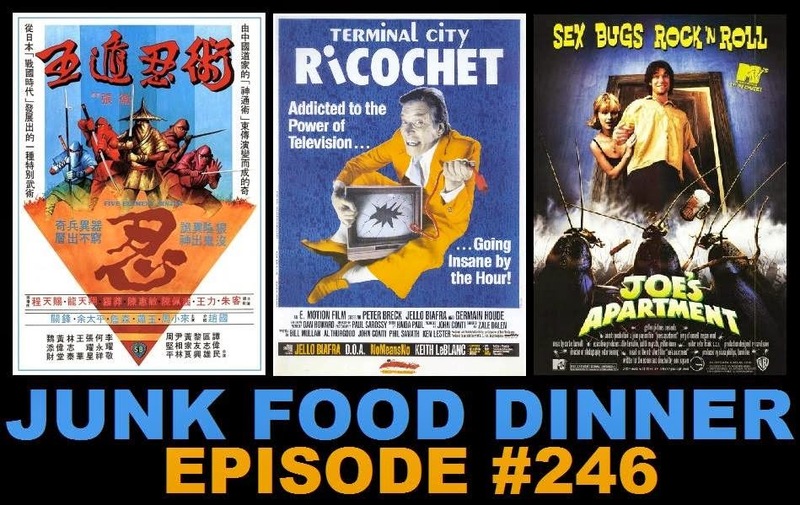 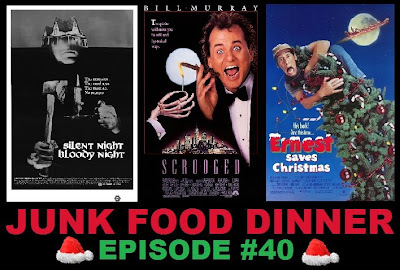 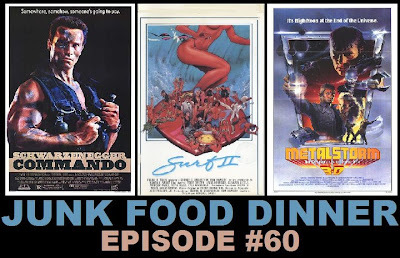 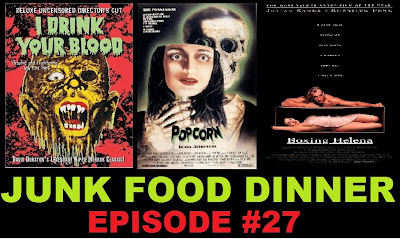 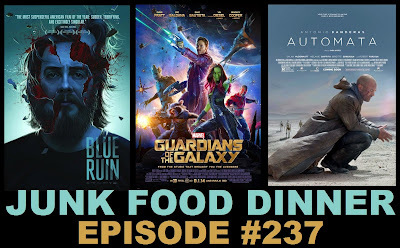 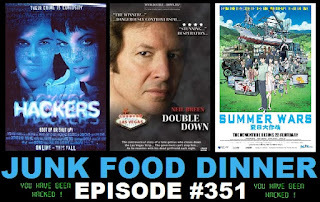 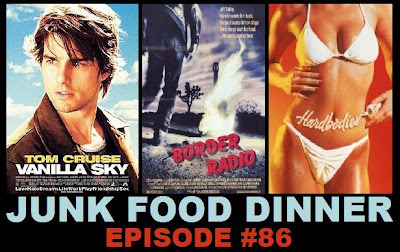 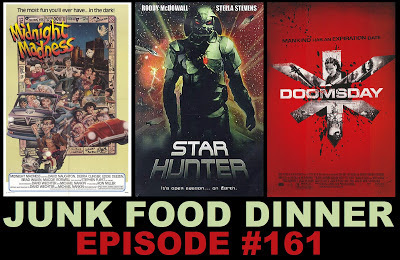 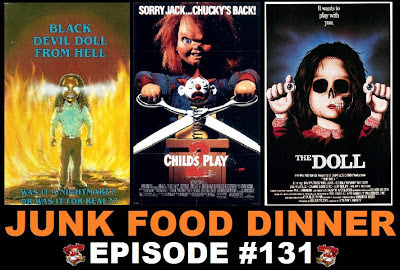 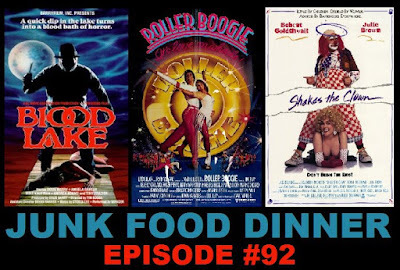 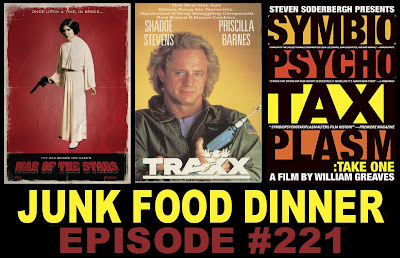 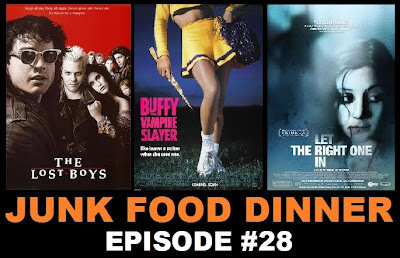 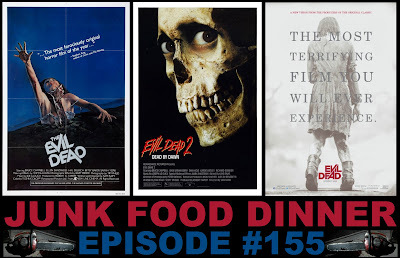 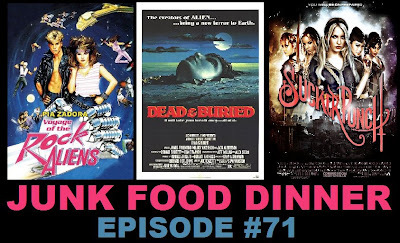 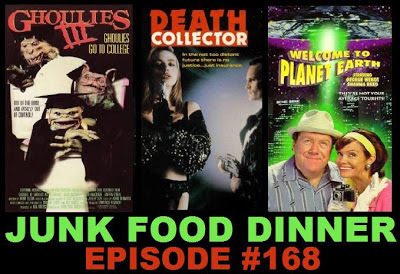 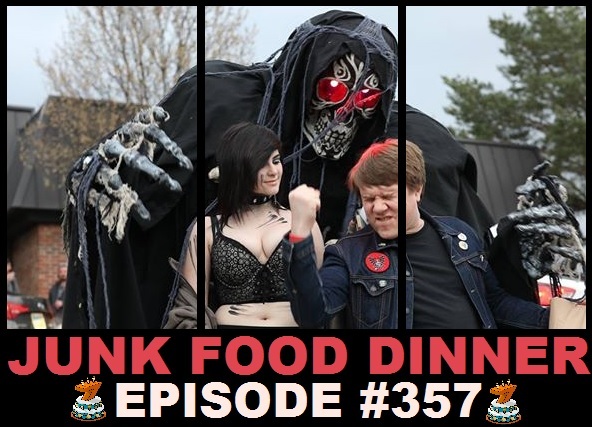 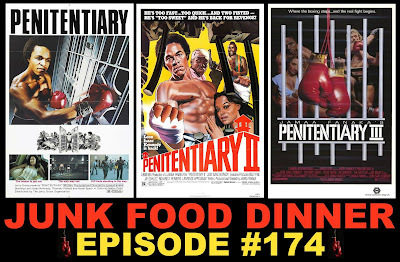 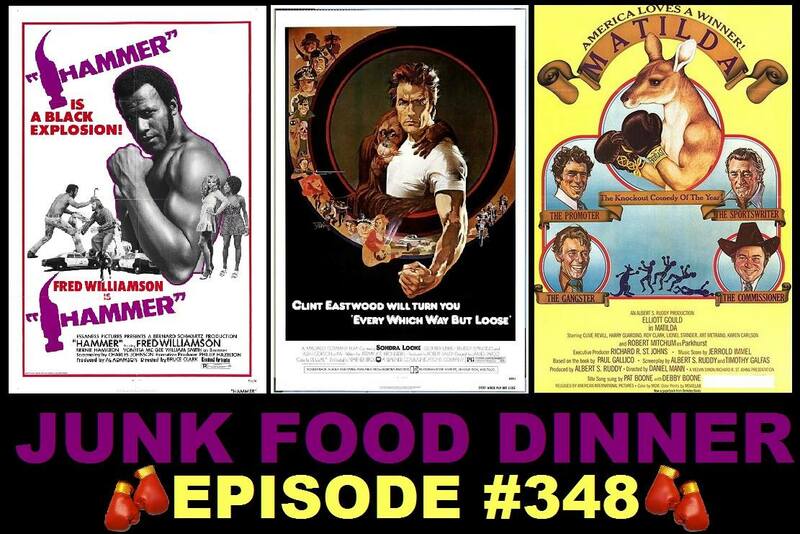 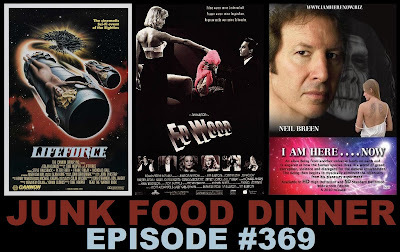 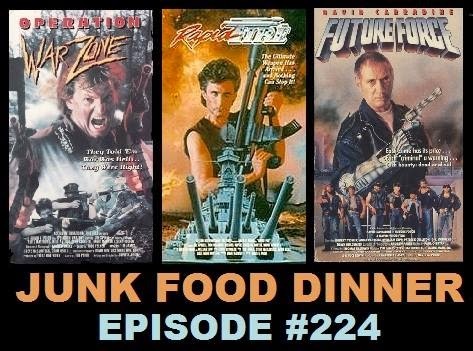 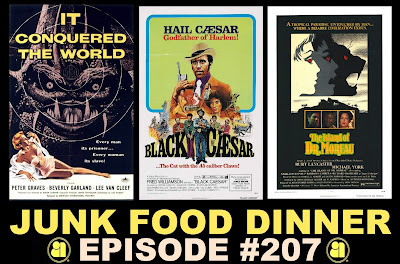 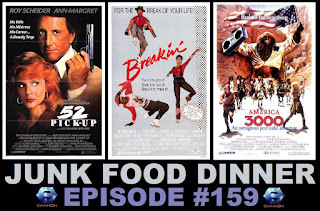 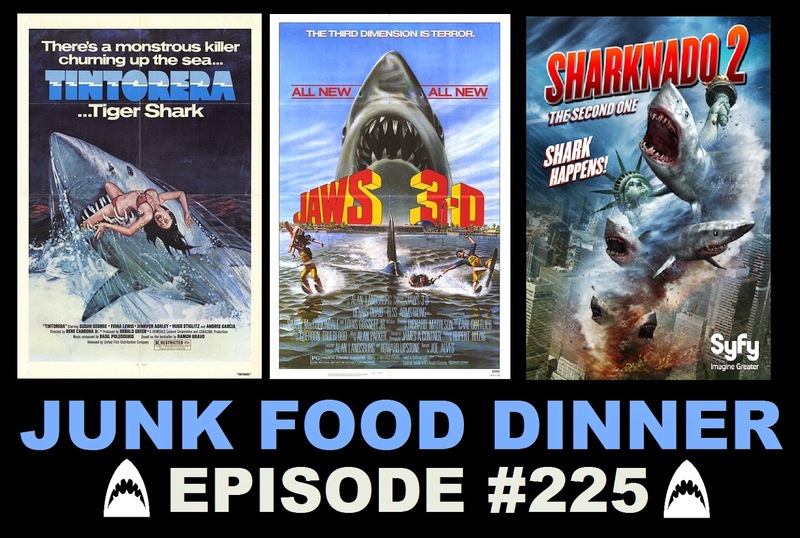 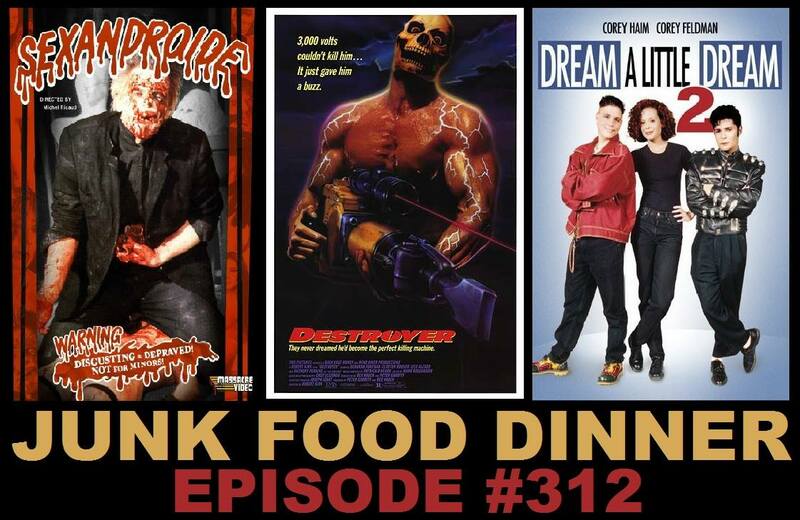 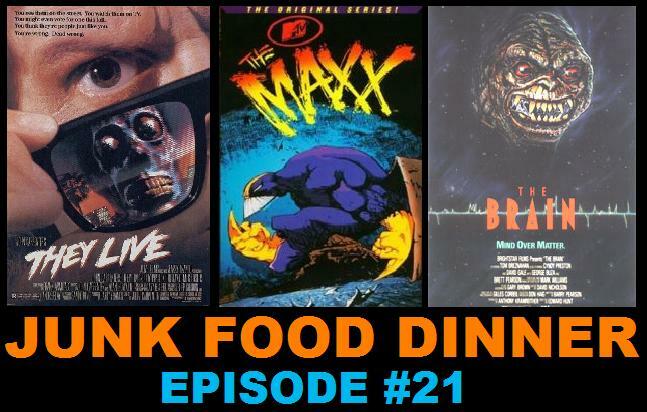 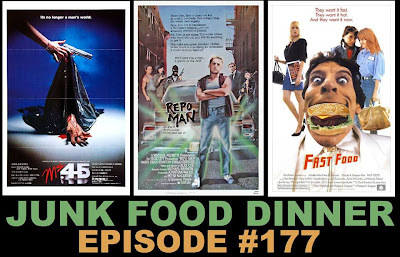 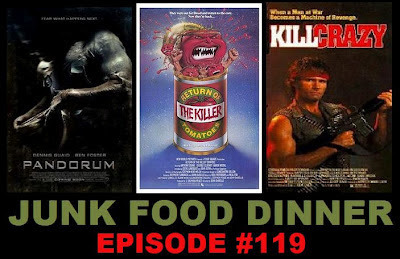 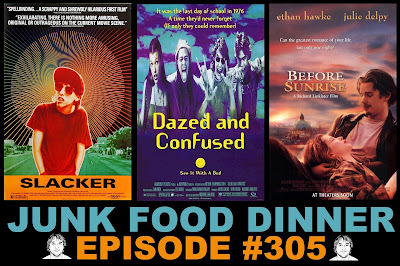 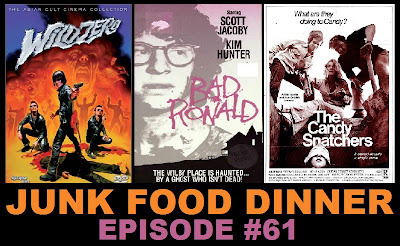 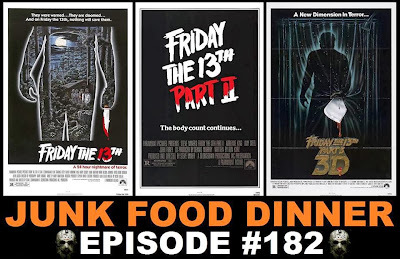 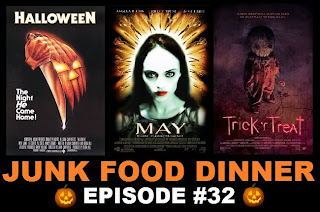 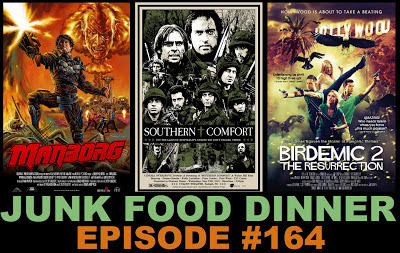 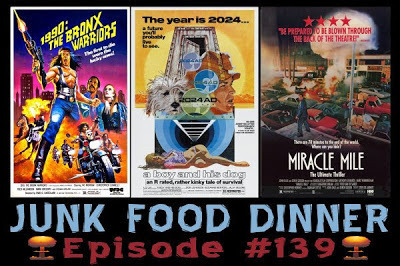 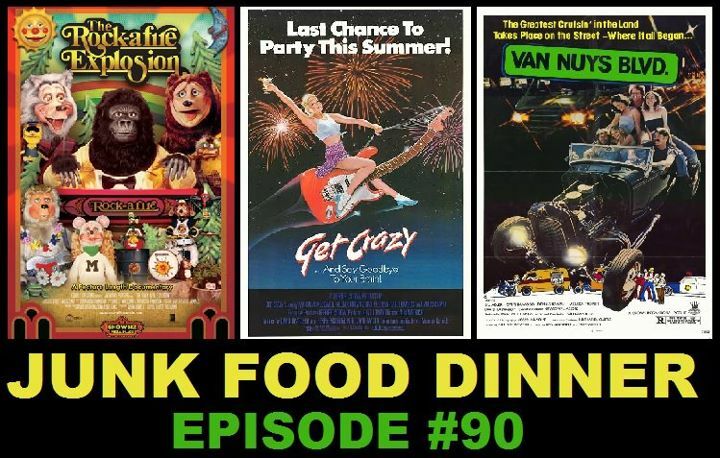 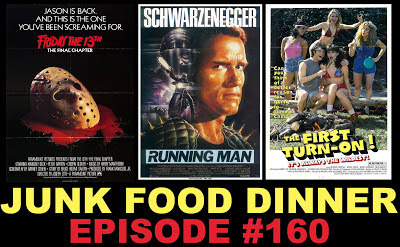 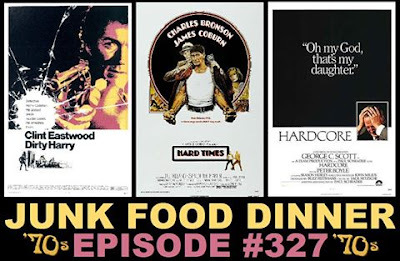 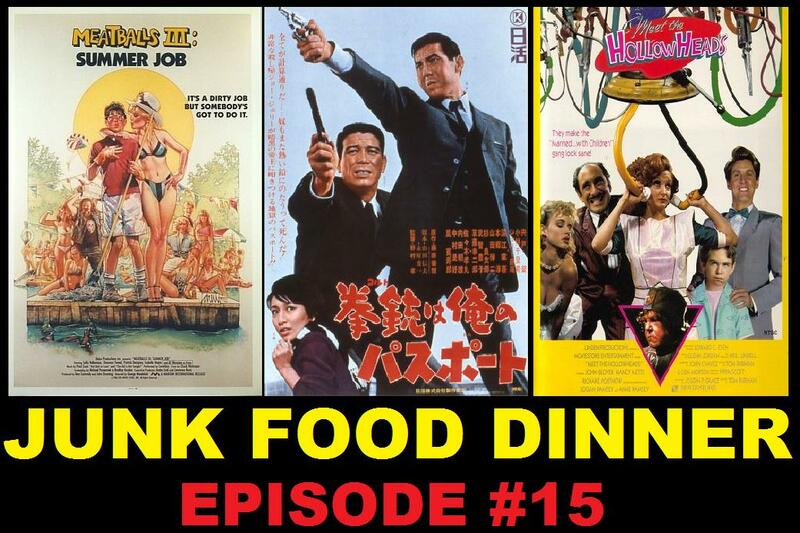 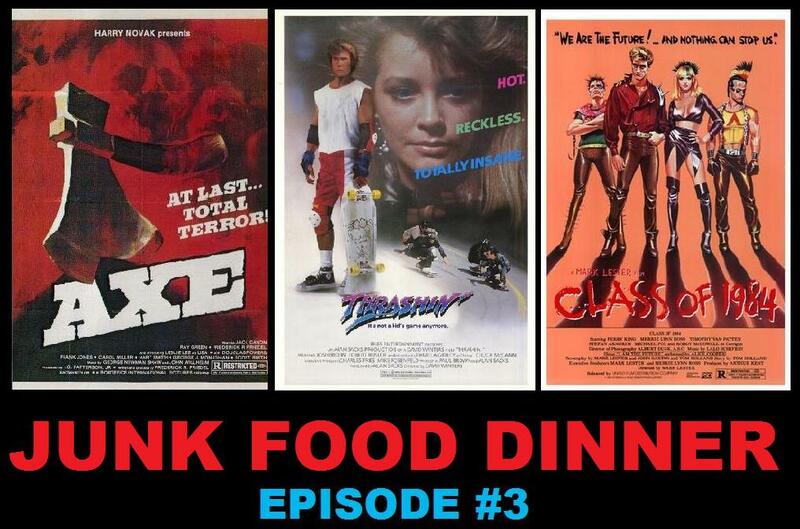 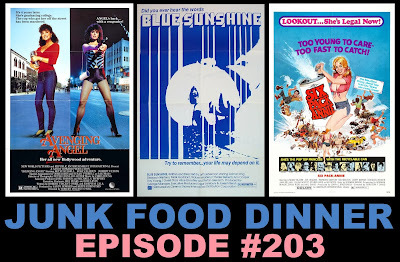 Episode #70 of Junk Food Dinner is here with more zombies and cannibals than you can shake a stick at! 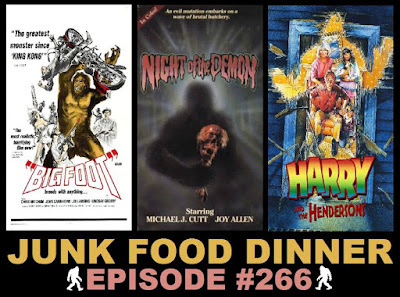 Up first, we revisit everyone's favorite Cannibalistic Humanoid Underground Dwellers, only this time, they're just zombies, in the goofy sequel C.H.U.D. 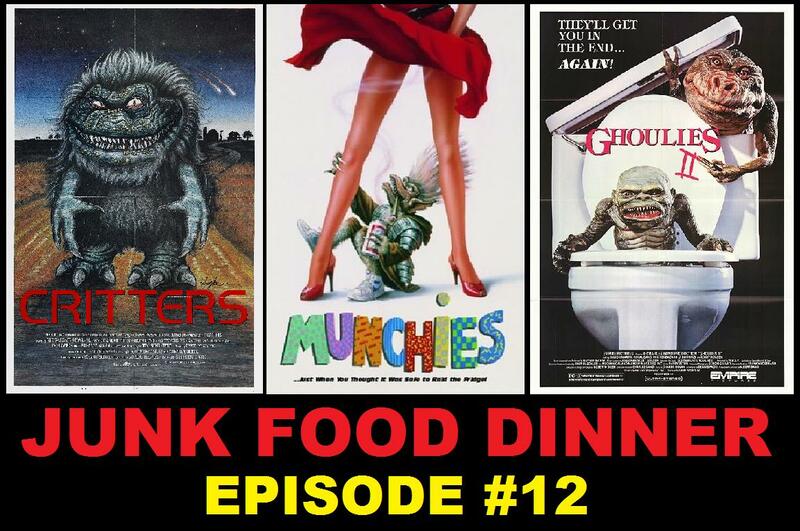 II: Bud the C.H.U.D. 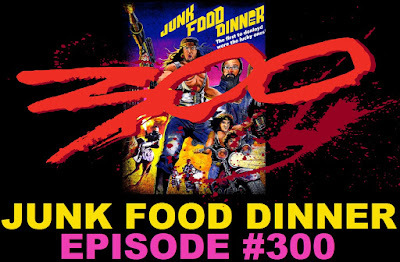 from 1989 starring Gerrit Graham, Brian Robbins, Tricia Leigh Fisher and Mr. Roper himself, Norman Fell. 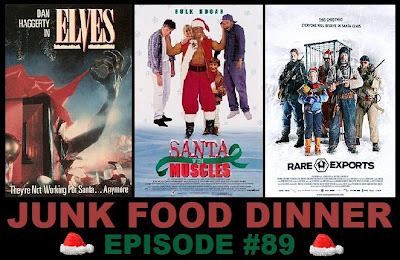 Then, a group of soldiers stationed in the Sierra Nevada Mountains during the Mexican-American War, quickly turn on one another as cannibalism is introduced to the group in the often overlooked 1999 period thriller Ravenous starring Guy Pearce, Robert Carlyle, Jeffrey Jones and David Arquette. 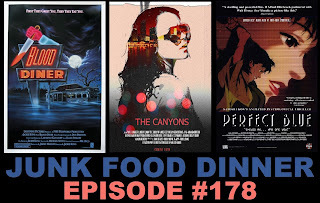 And finally, two valley girls survive the apocalypse only to be hunted by evil scientists, thuggish marauders and of course, zombies in the excellent 1984 horror-comedy Night of the Comet starring Catherine Mary Stewart, Kelli Maroney, Mary Woronov and Robert Beltran. 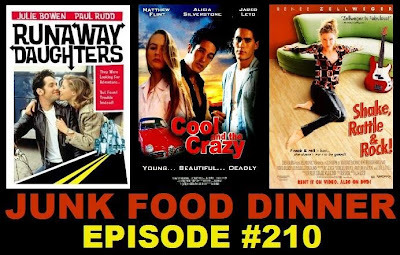 Catherine Mary Stewart has official pages on the web www.catherinemarystewart.com / facebook CatherinemaryStewart and twitter @cmsall Great seeing NOTC in this one!